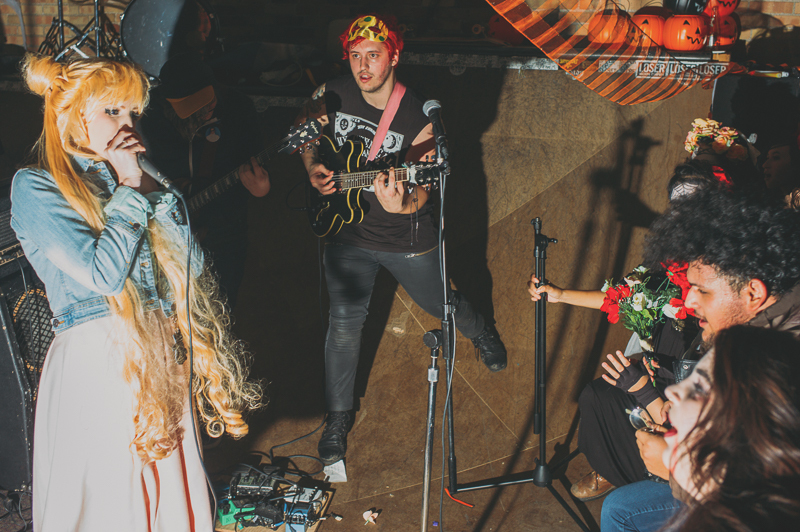 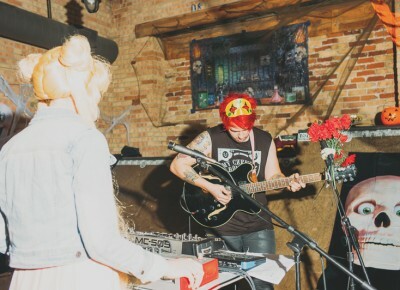 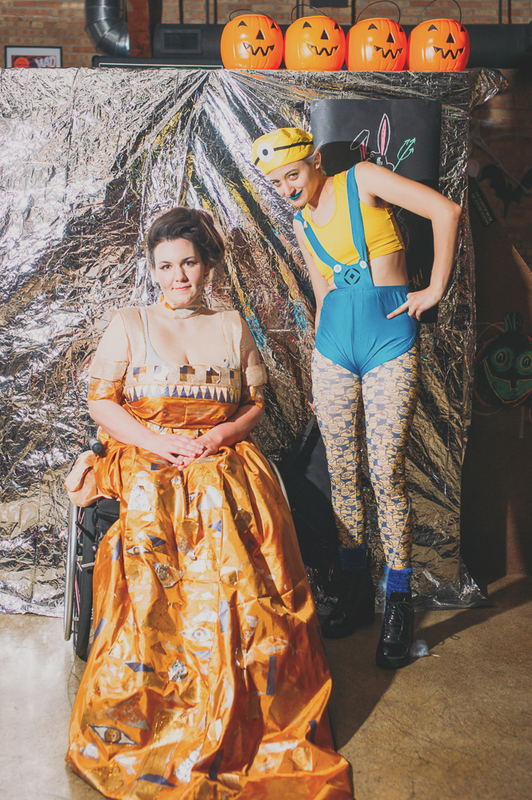 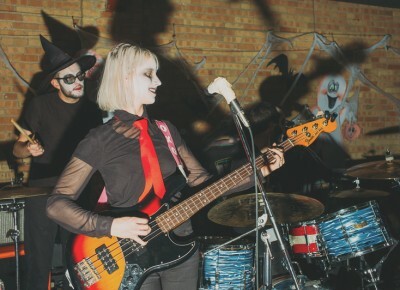 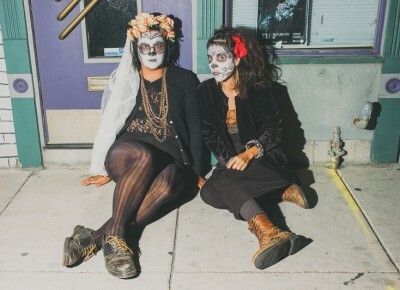 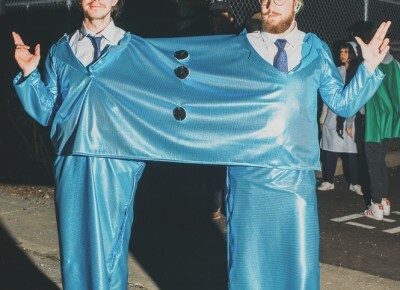 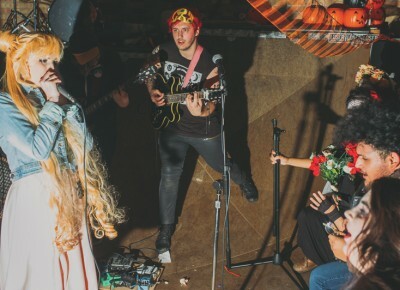 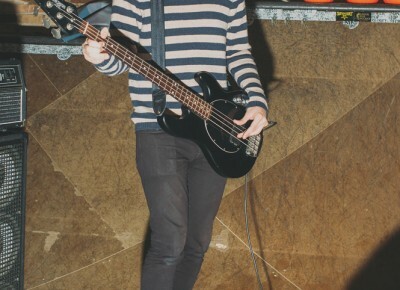 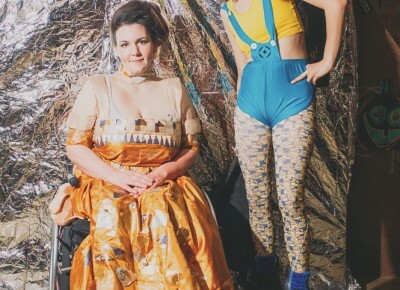 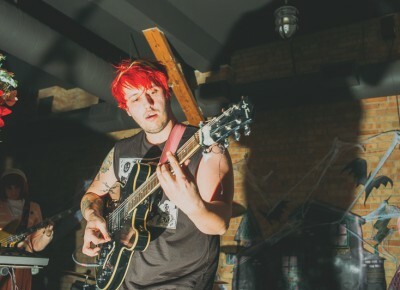 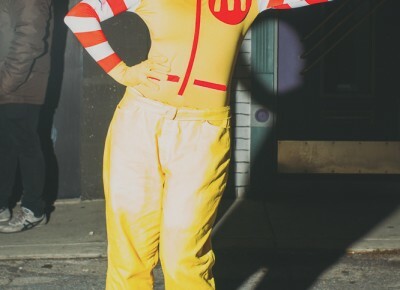 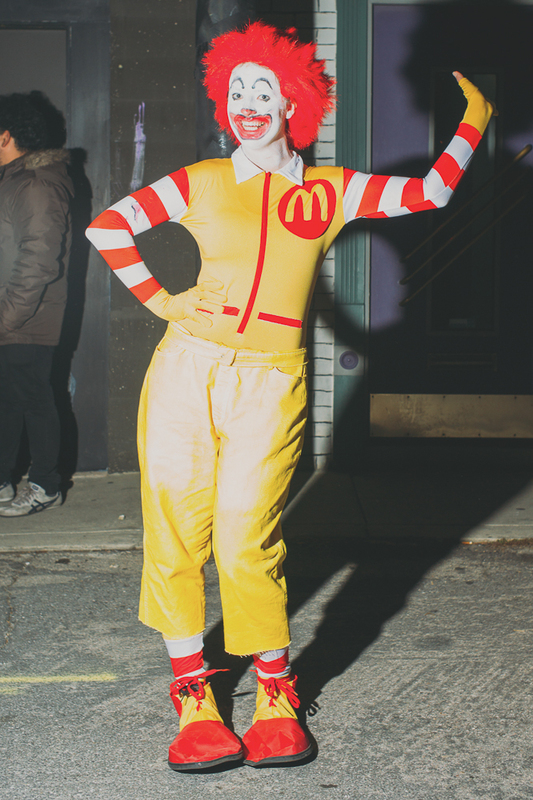 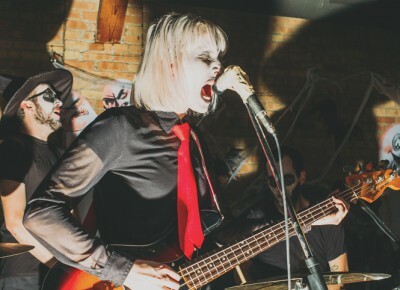 Punk Rock Halloween is annual event wherein bands dress up as their favorite artists and play their songs like they are the artists themselves. 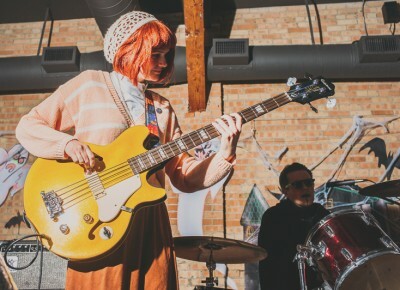 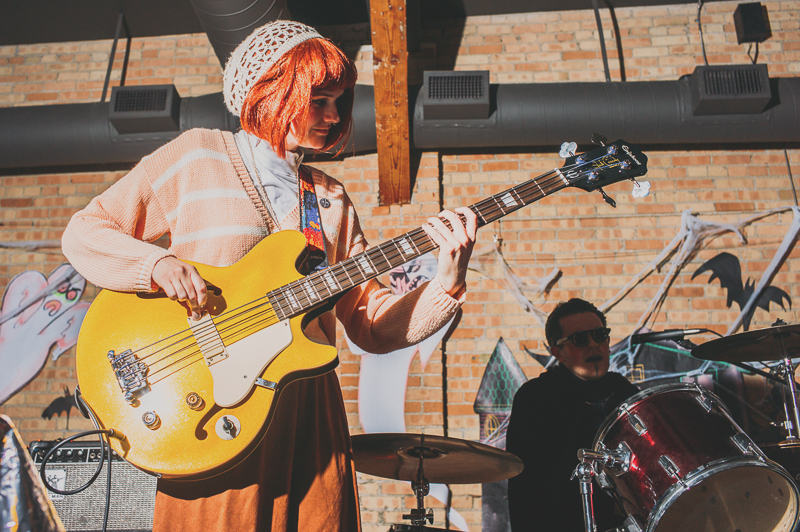 This year attendees had a chance to hear The Go-Go’s (Foster Body), New Order (Fossil Arms), Husker Dü (Chalk), Rage Against the Machine (Wild Moth), My Chemical Romance (Baby Ghosts) and Amy Winehouse (Show Me Island). 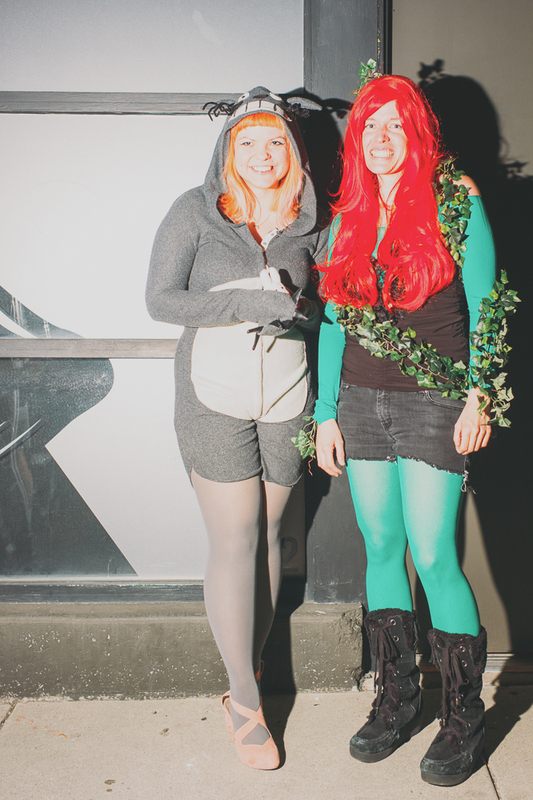 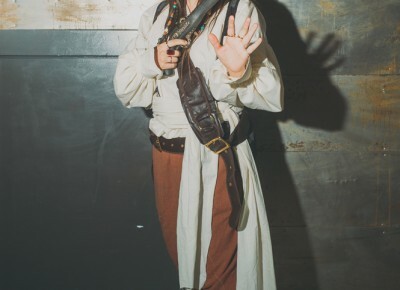 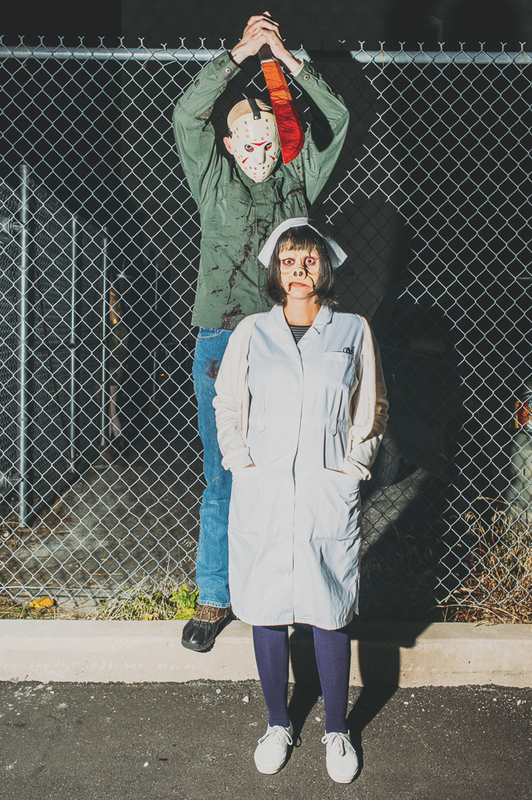 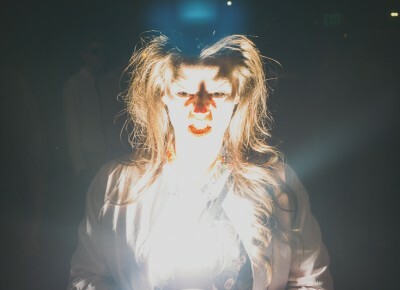 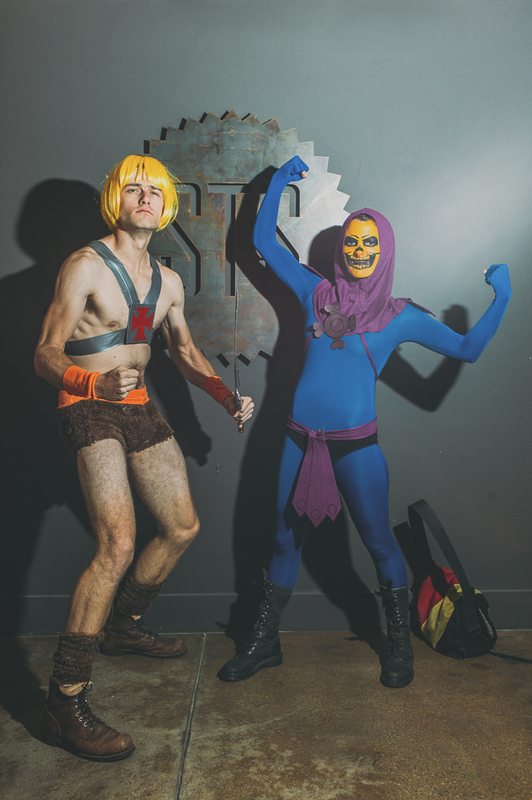 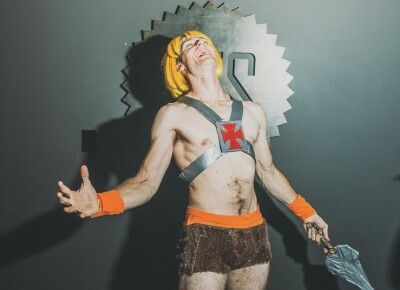 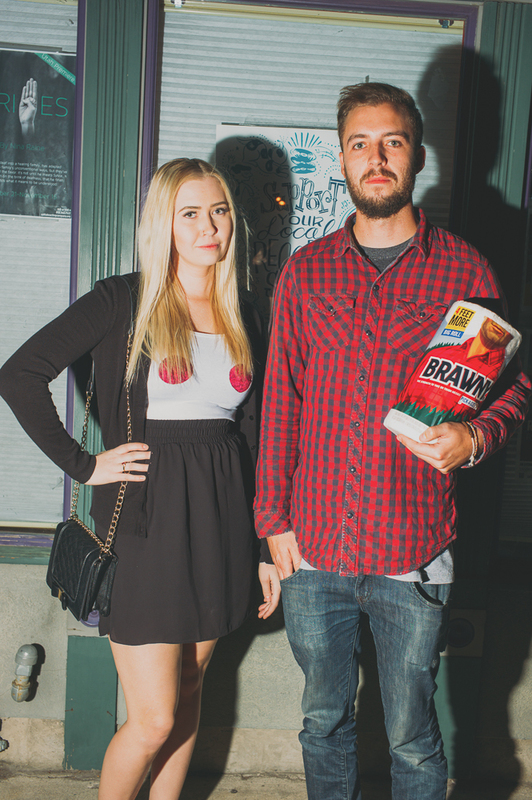 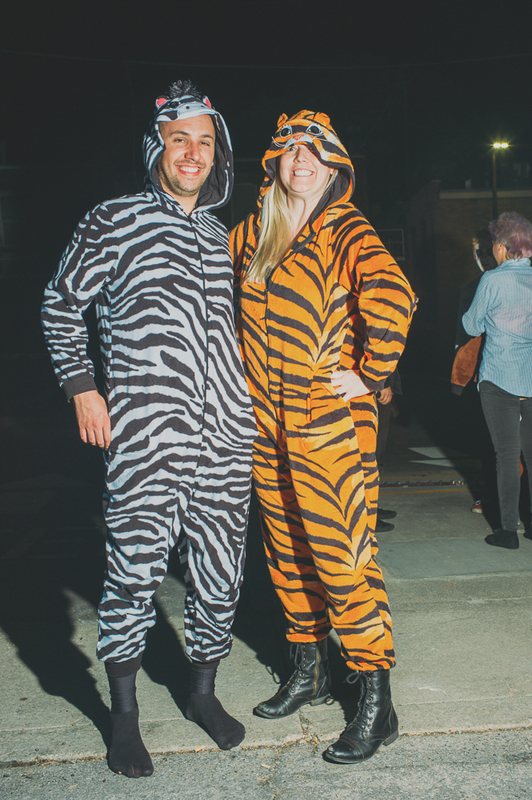 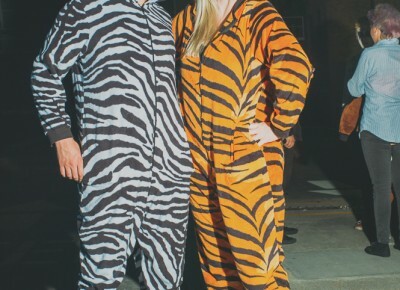 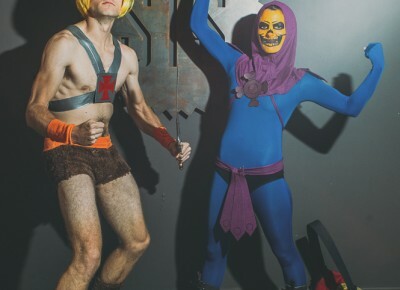 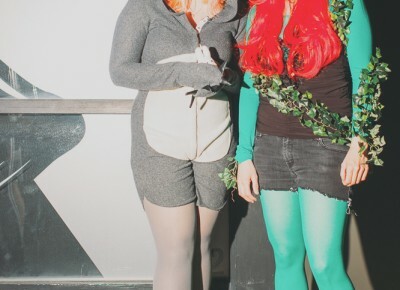 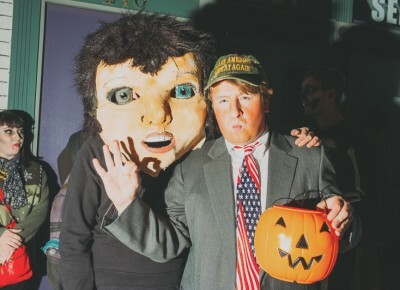 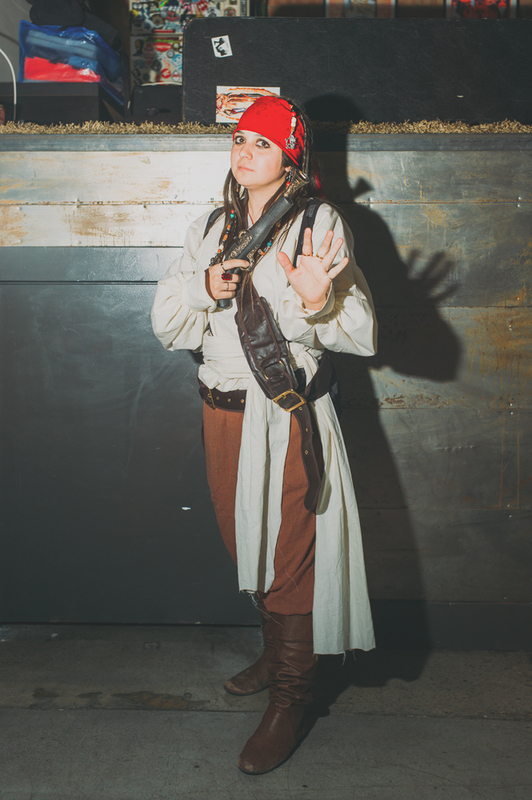 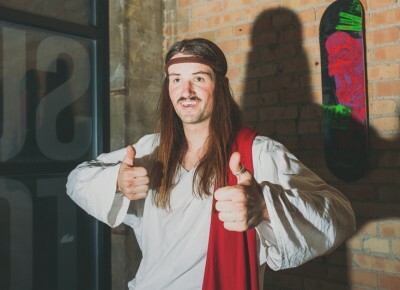 Most attendees came in costume, some elaborate and silly, some stark and scary. 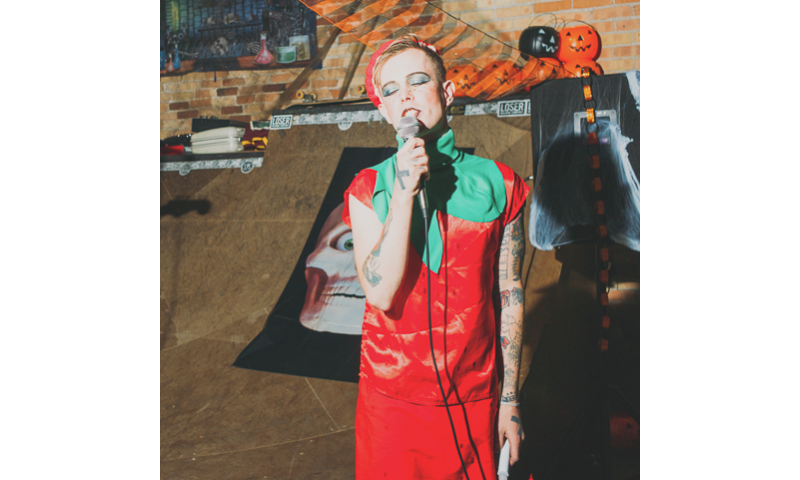 Punk Rock Halloween was held at Super Top Secret, with their mini ramp halfpipe serving as the stage, which was surrounded by spooky artwork and decoration by Robin Banks of Foster Body—who started off the show with The Go-Go’s enduringly catchy “We Got The Beat.” Banks was adorned as a bright red strawberry with green eye shadow to match their chlorophyll. 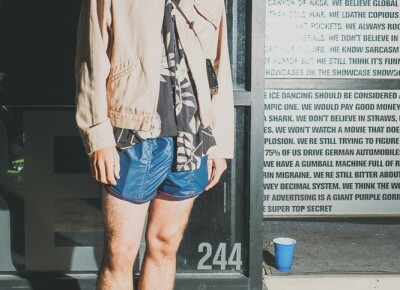 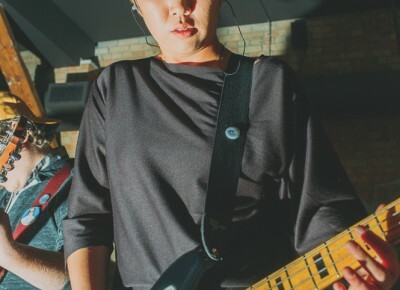 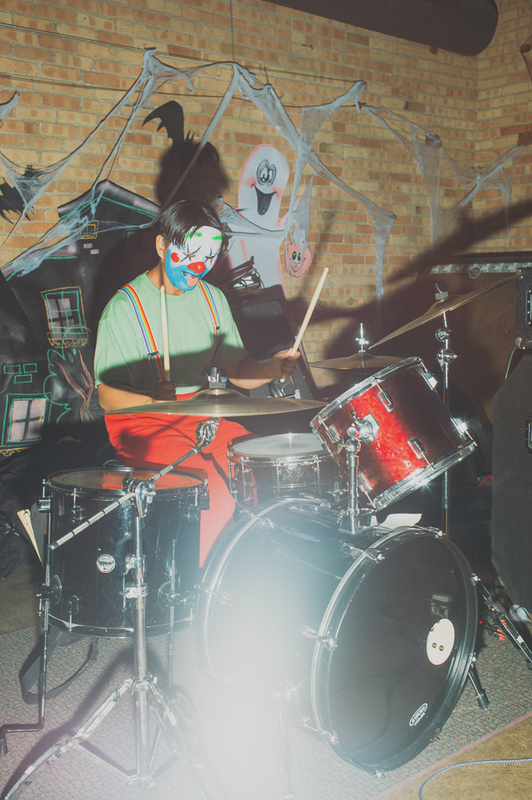 Their set was quick and energetic, including other fan favorite “Vacation.” After a brief break to check out costumes, Fossil Arms brought the dance-y synth-pop of New Order with electronic drum backing which had everyone dancing. 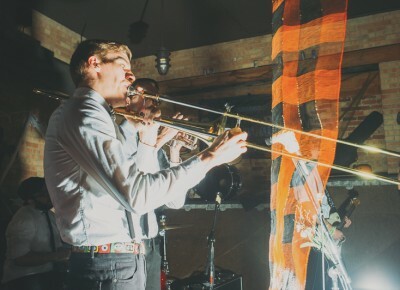 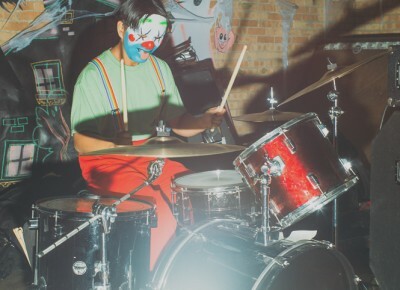 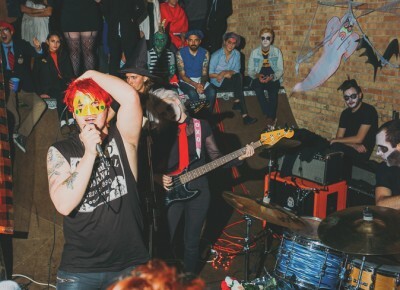 Chalk took the stage as Hüsker Dü, playing their ferocious and fast “New Day Rising” which got the crowd moshing, which was the beginning of the end for much of the Halloween decorations which began to be knocked over as the crowd spilled into the small stage. 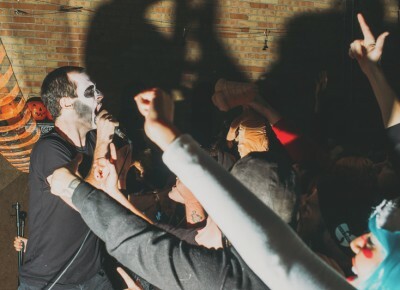 Wild Moth started their set as Rage Against the Machine with a recorded speech of vocalist Zach de la Rocha speaking to a crowd at one of their shows, after which they blasted into “Killing in the Name” which turned the crowd to a frothing mass, nearly everyone singing along. 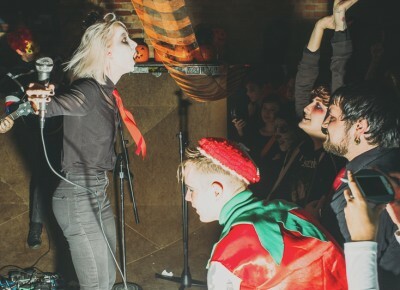 Baby Ghosts started their set as My Chemical Romance with “I’m Not Okay” which had everyone remembering their 2004-era angst, as well as every lyric. 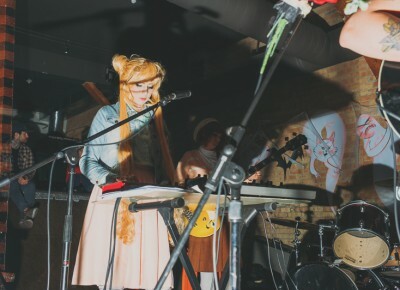 Every song was energetic and well-performed, with band members switching instruments each song. 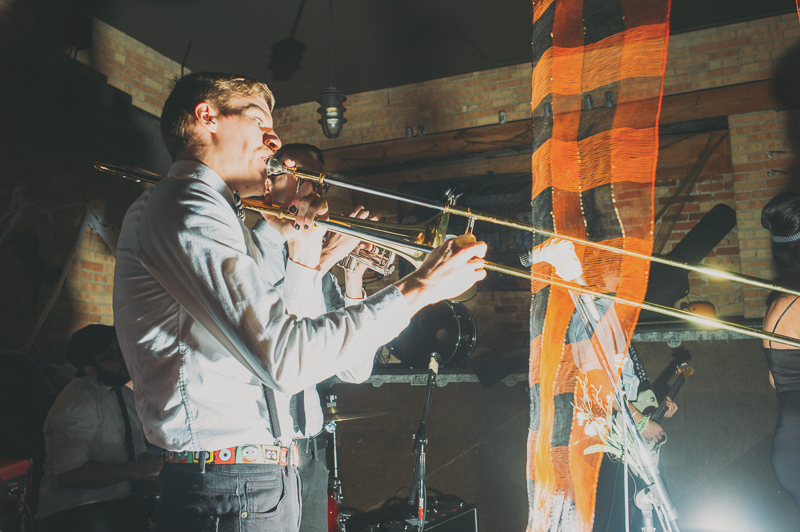 Show Me Island brought a different mood, with the smooth bluesy sound of Amy Winehouse, backed by brass. 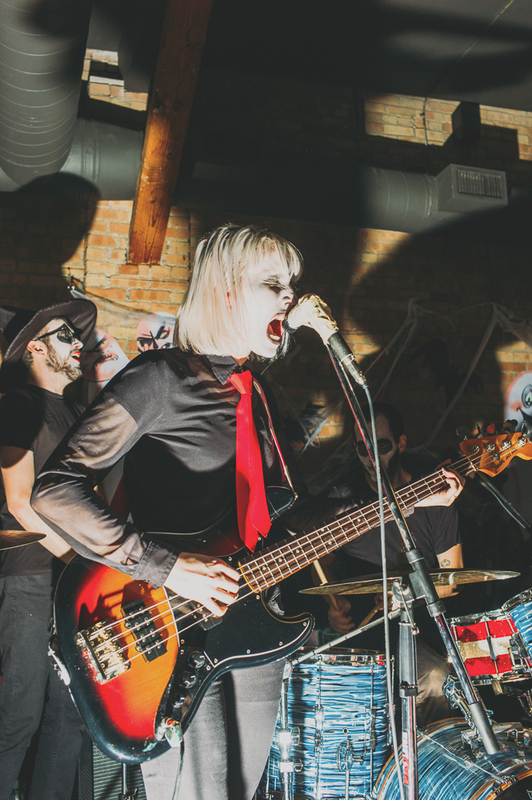 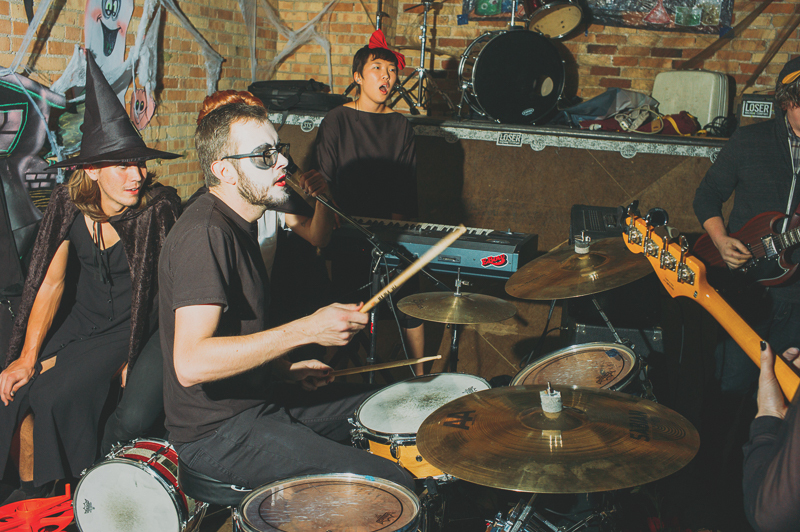 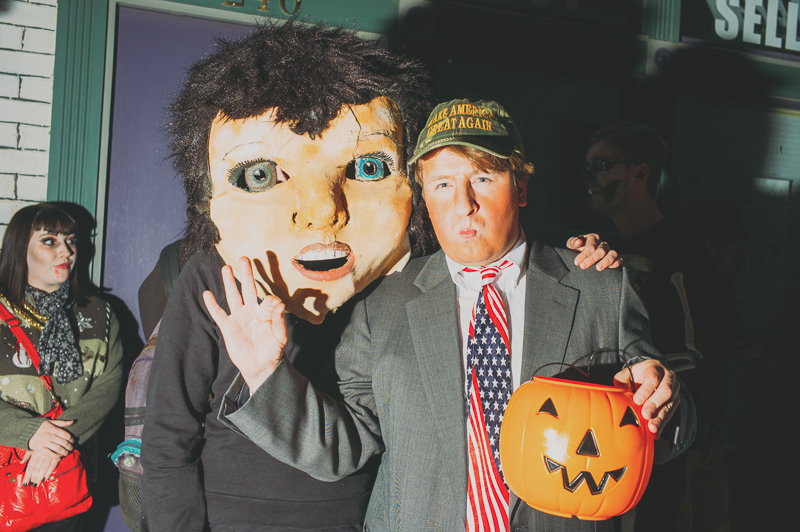 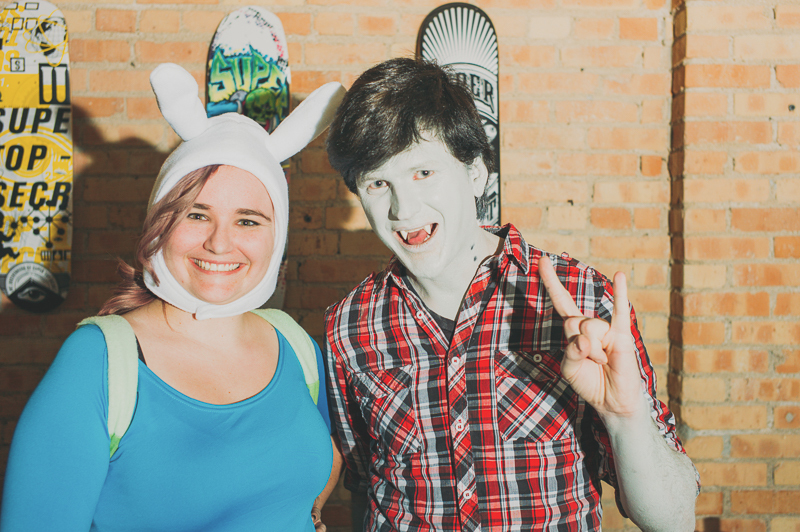 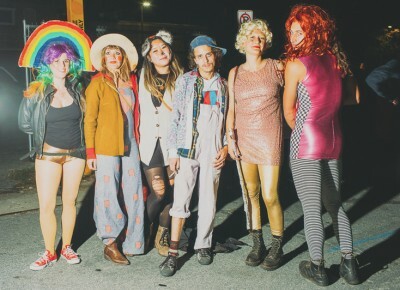 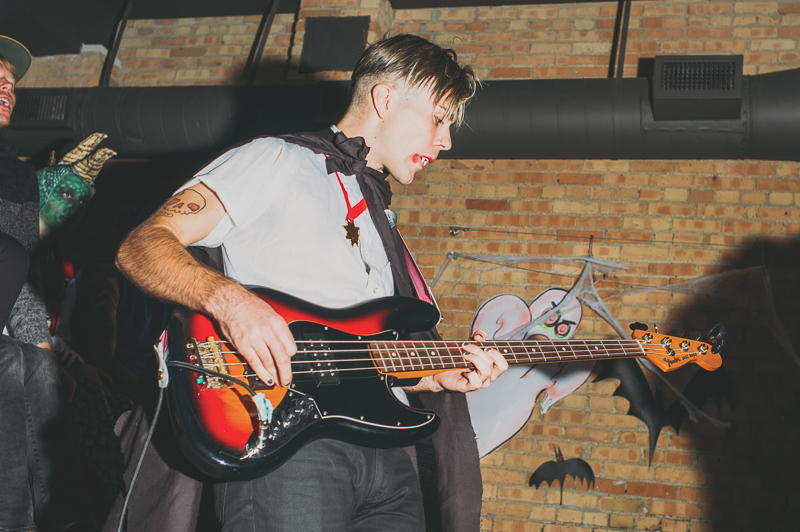 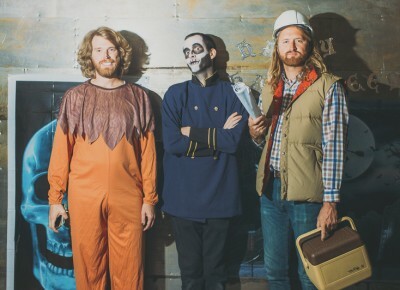 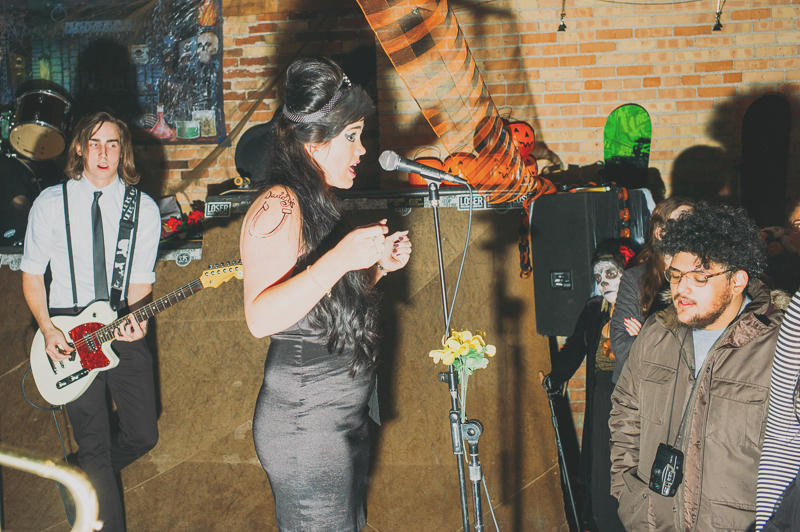 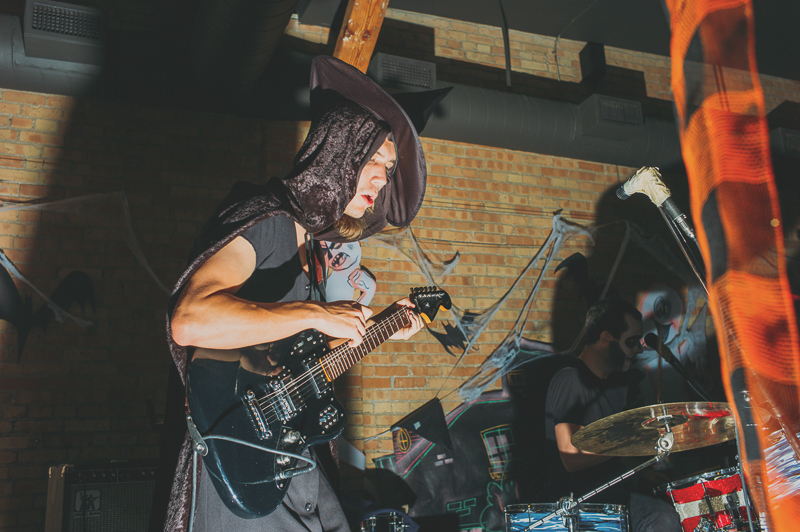 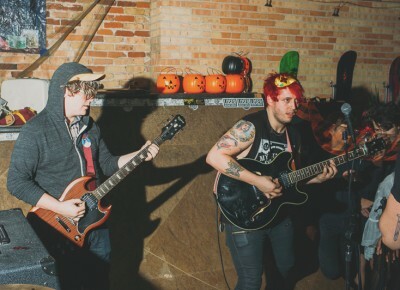 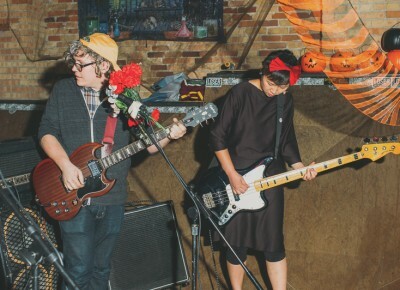 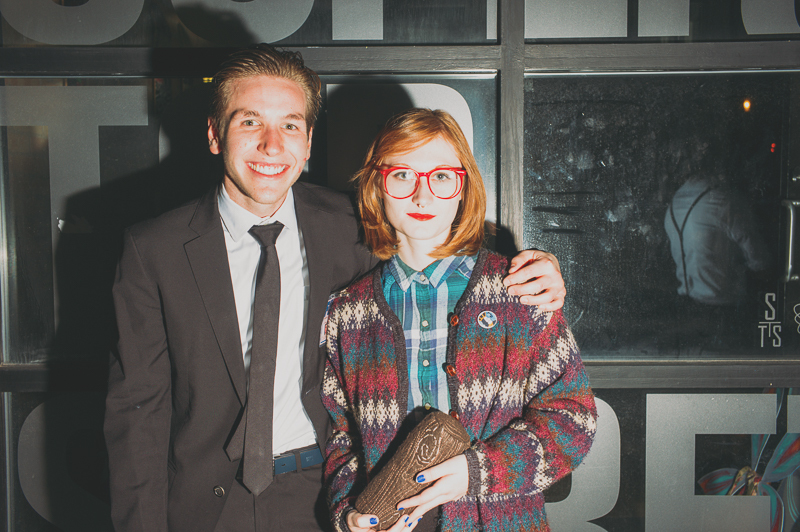 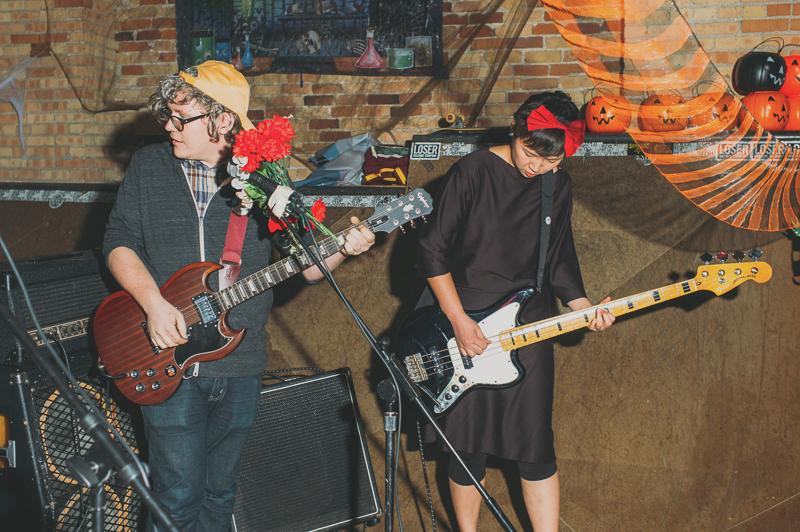 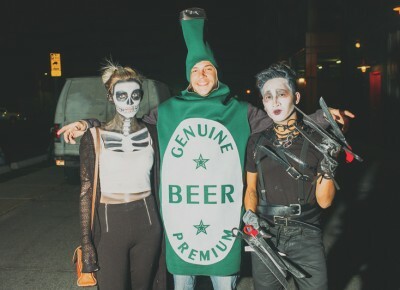 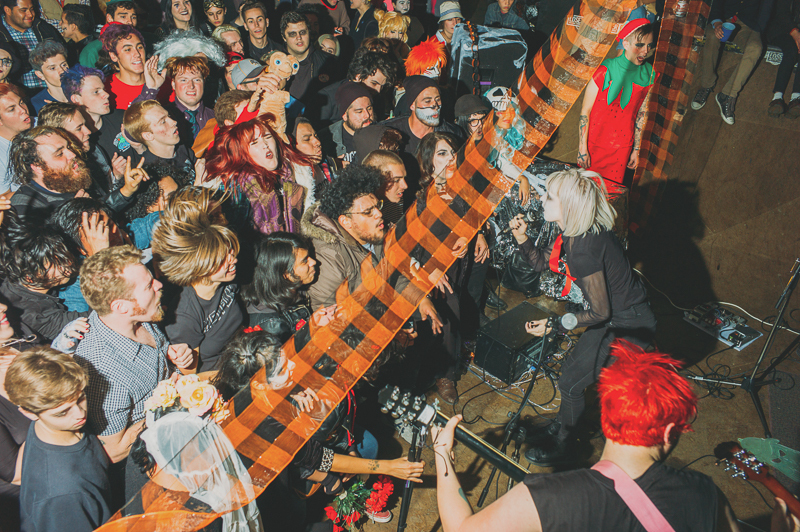 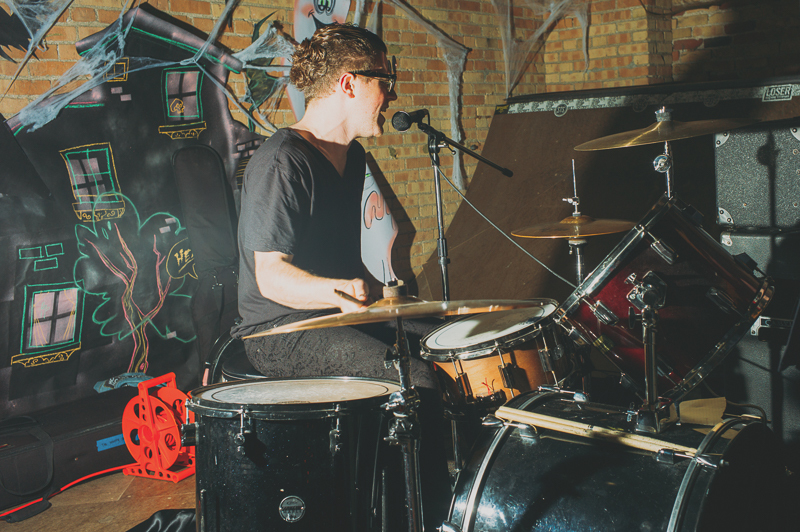 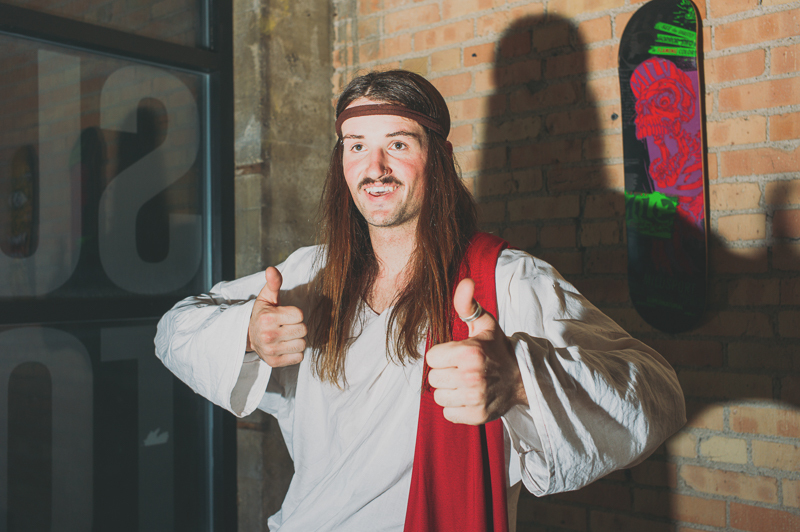 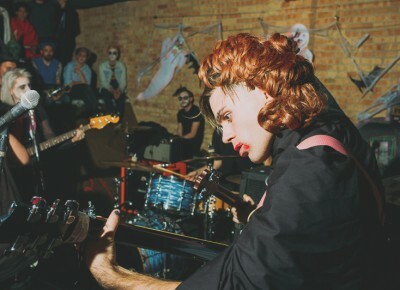 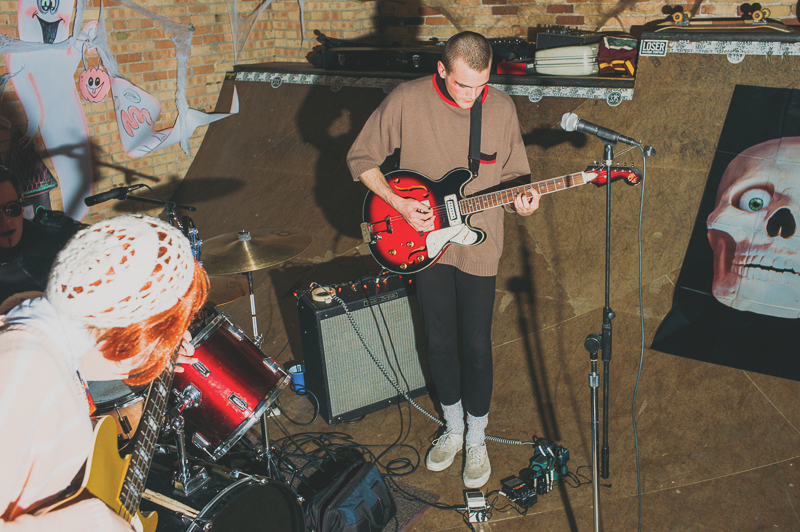 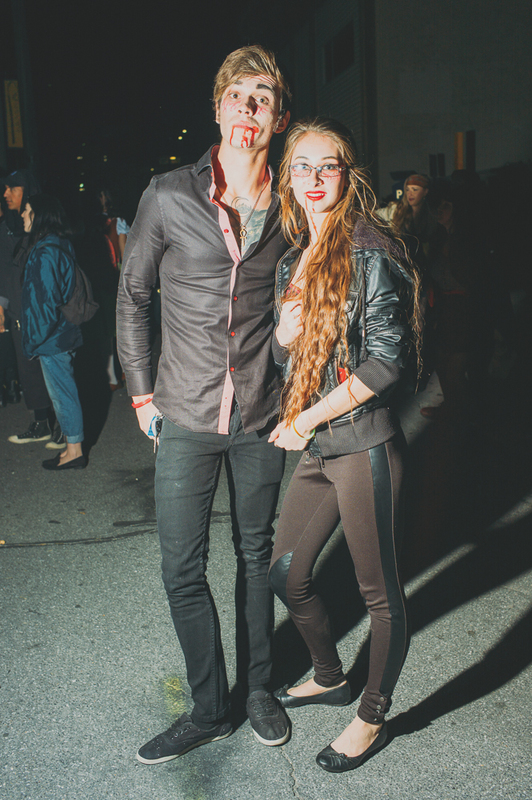 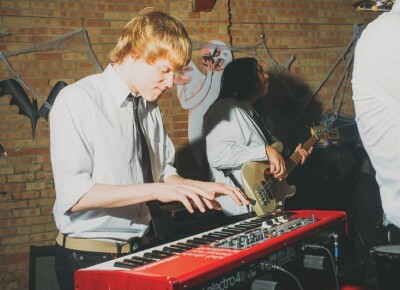 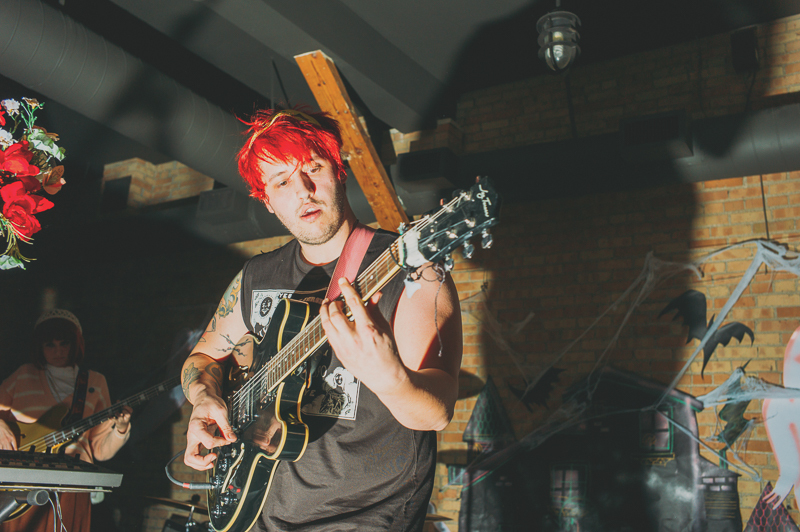 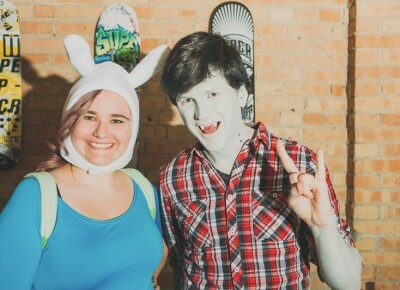 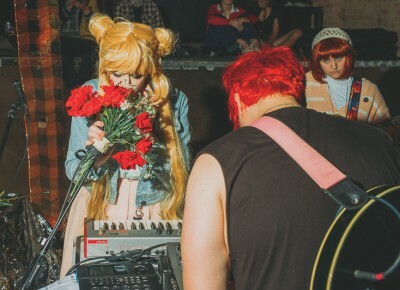 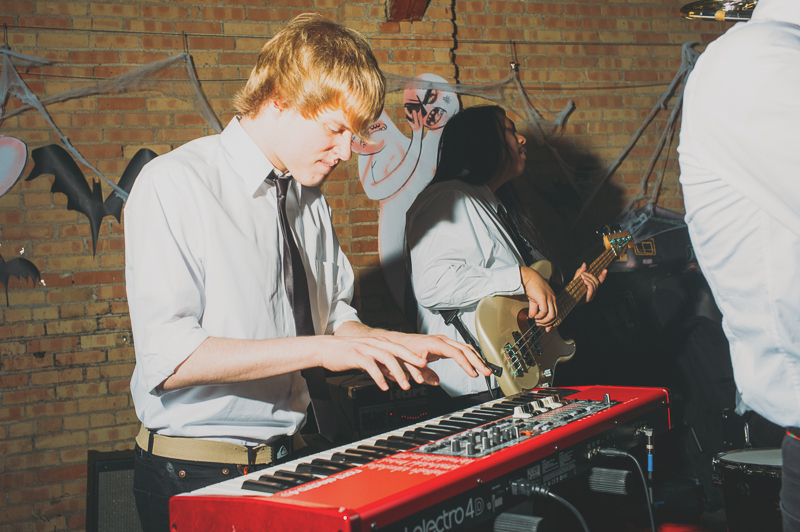 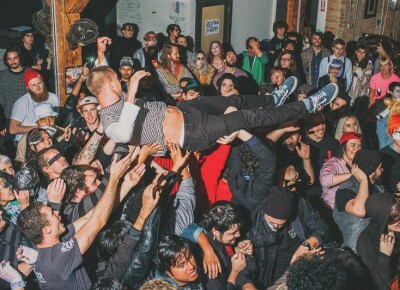 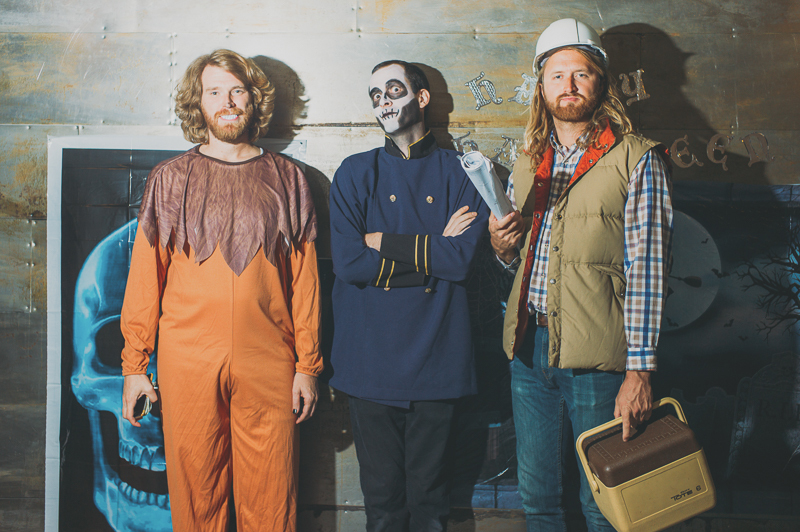 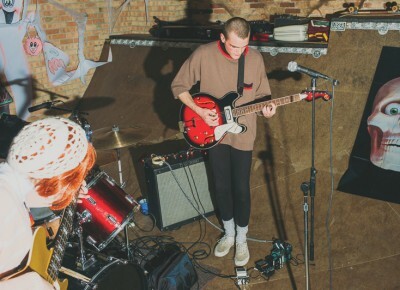 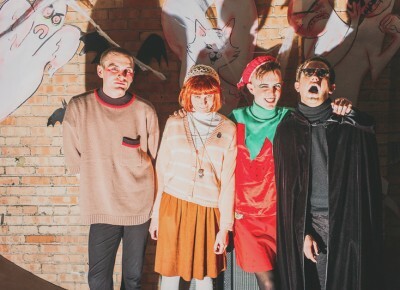 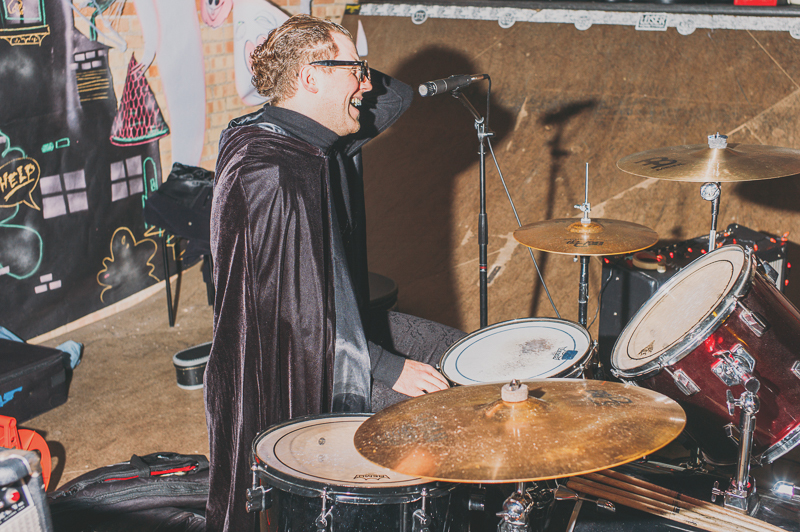 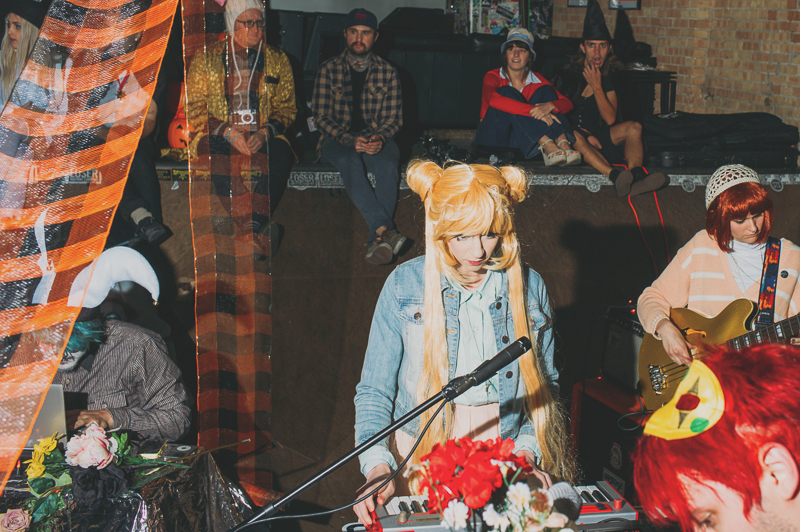 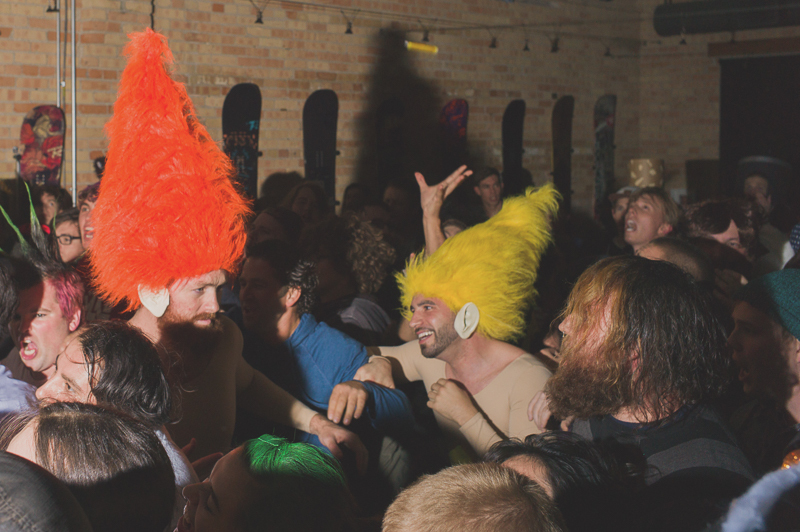 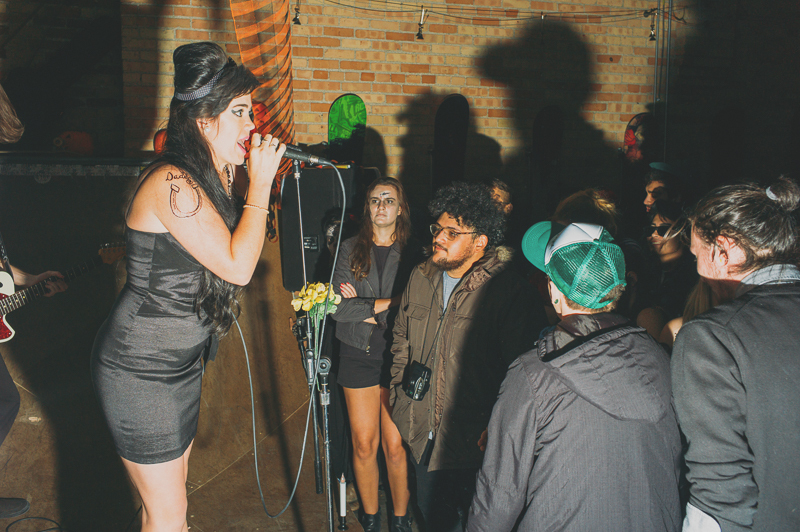 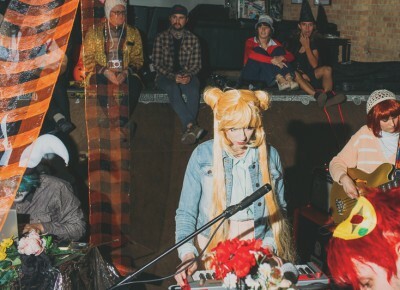 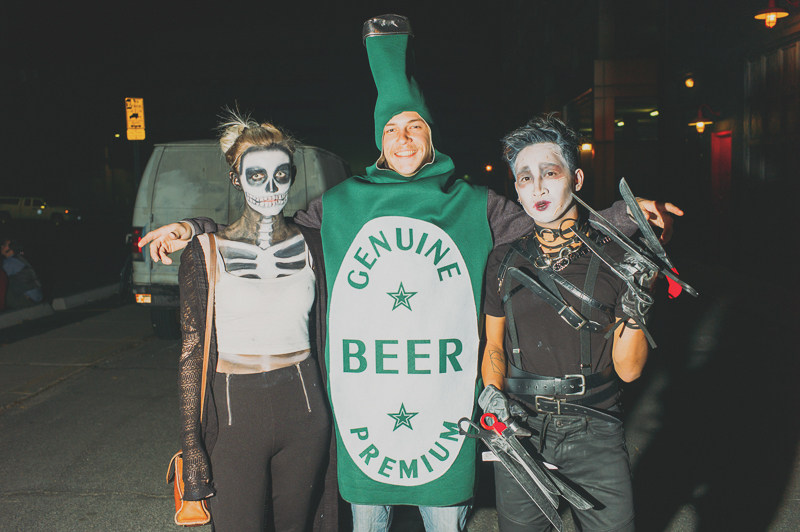 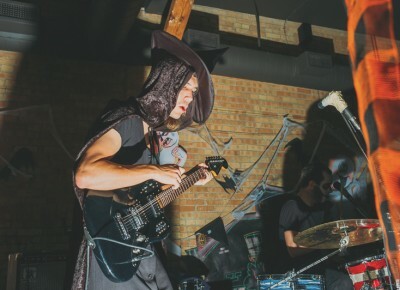 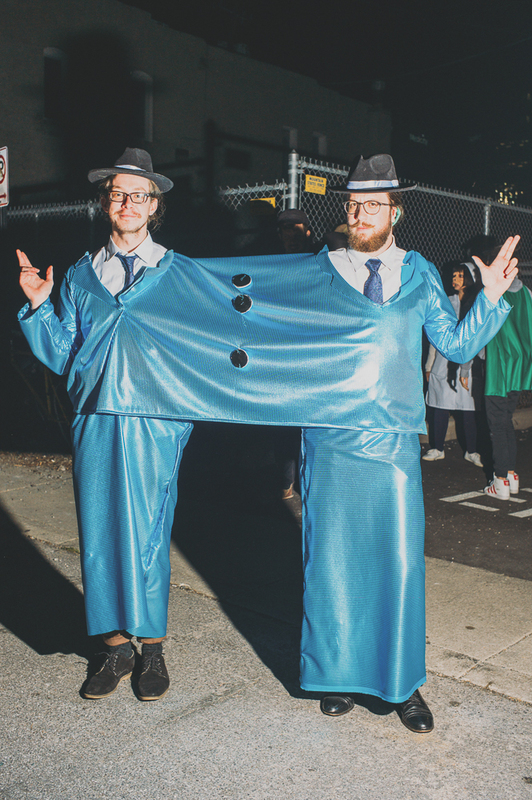 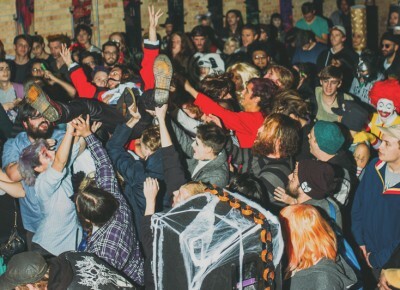 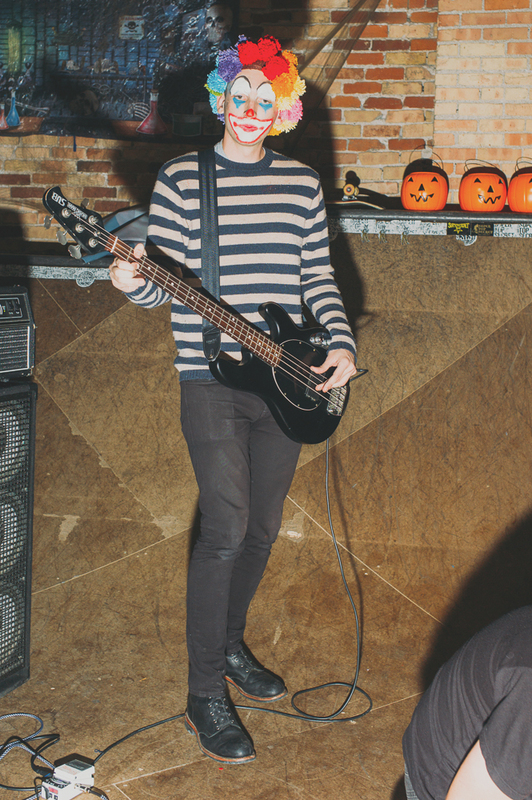 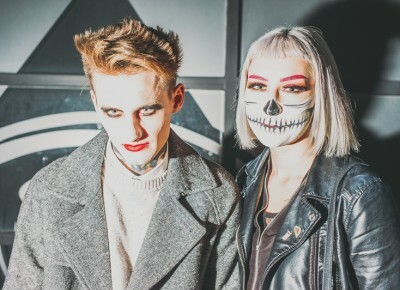 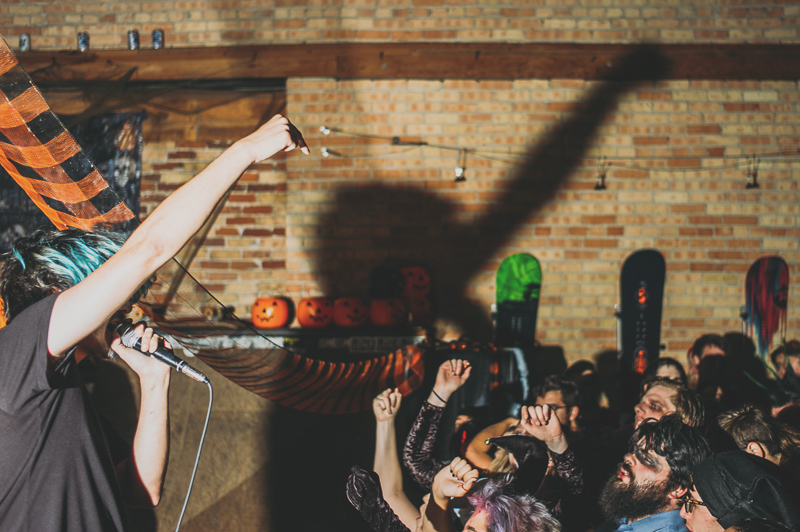 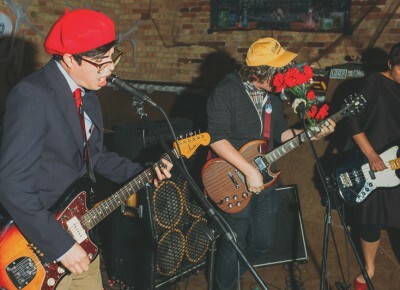 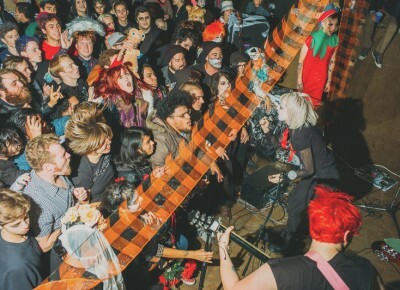 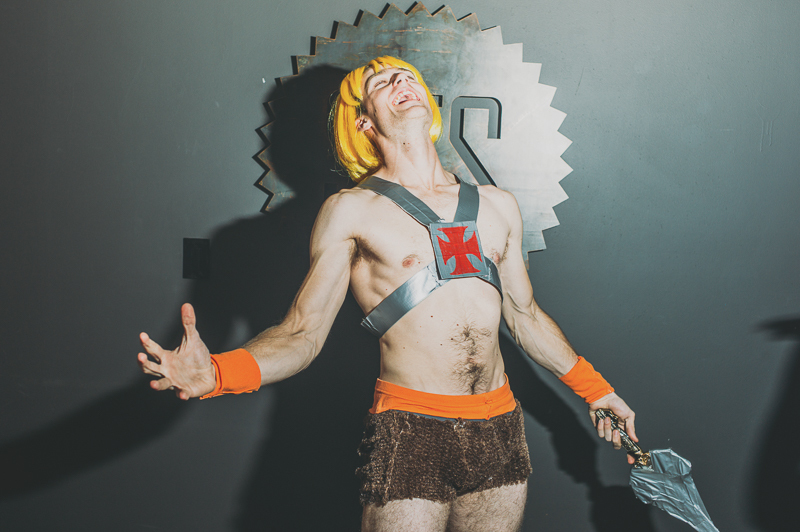 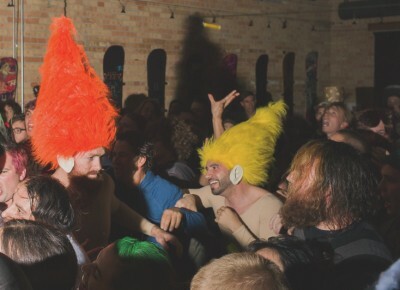 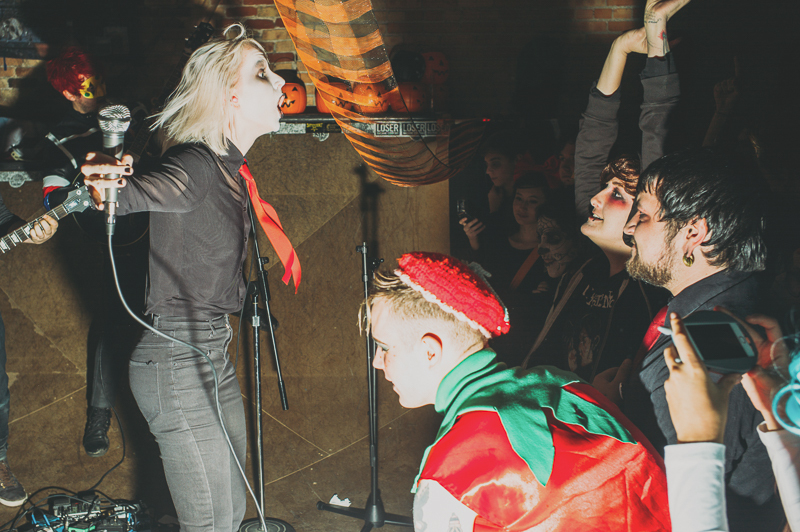 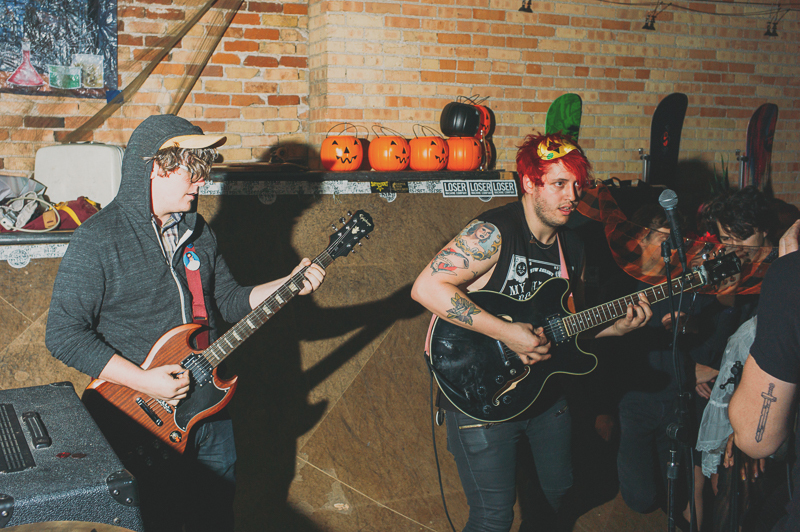 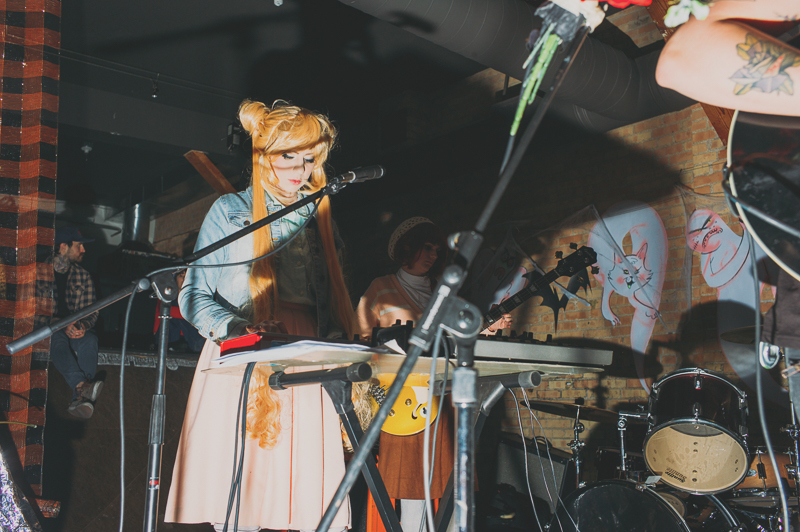 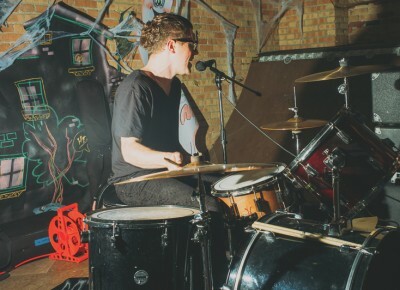 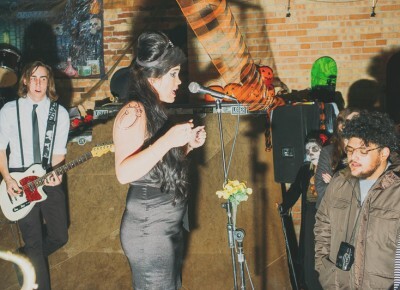 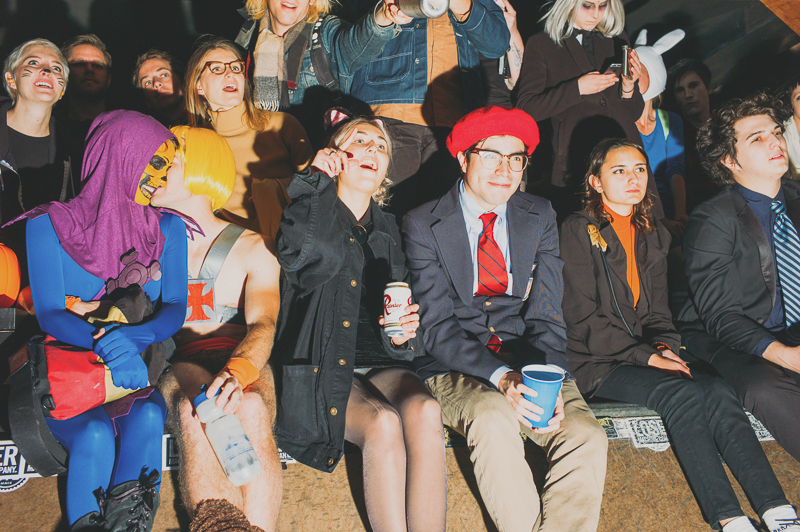 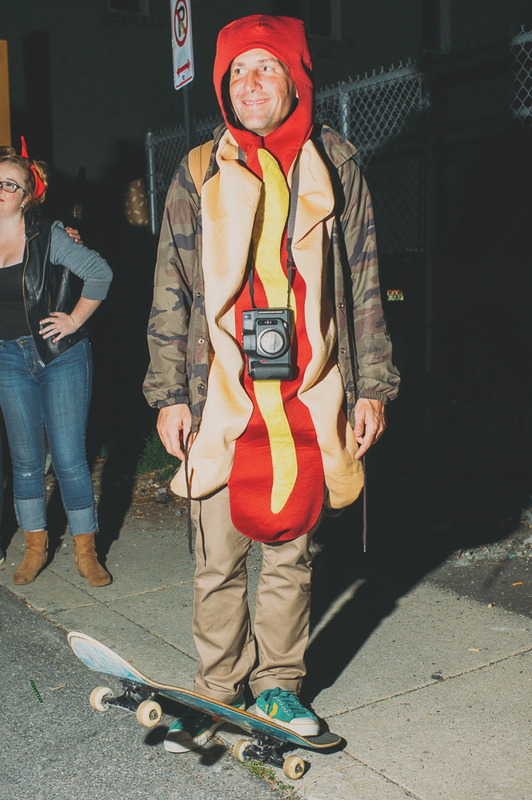 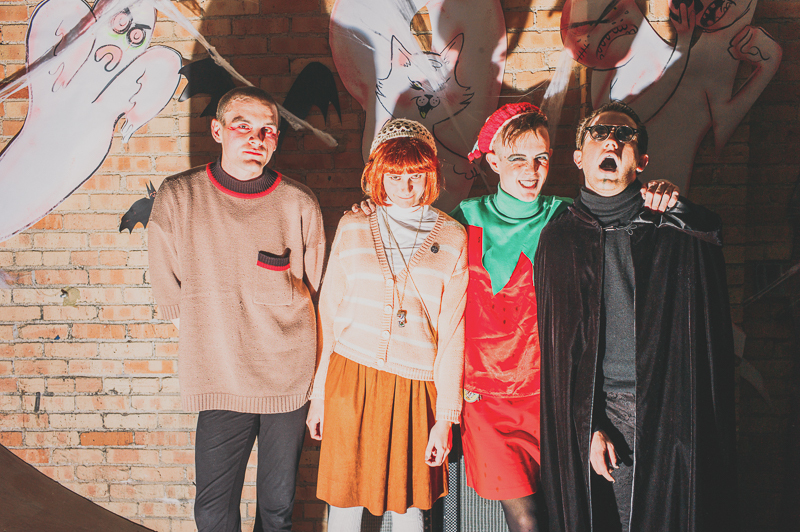 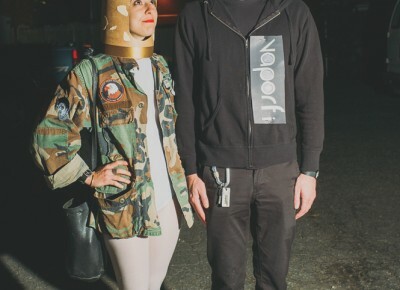 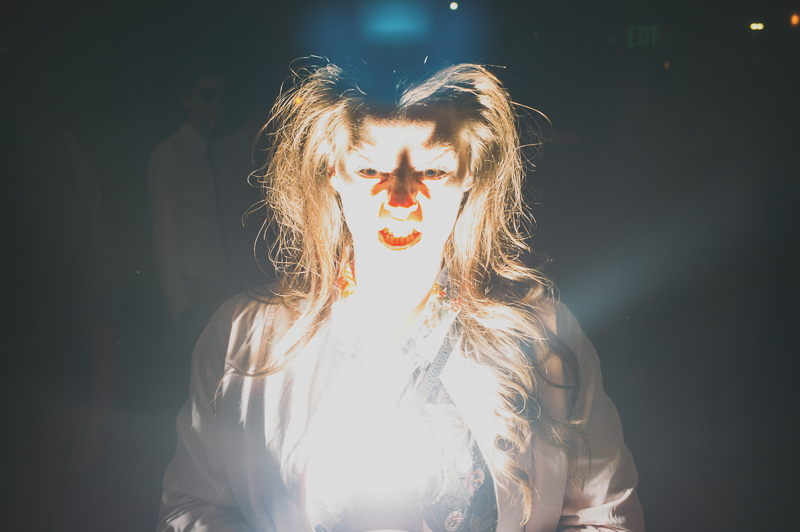 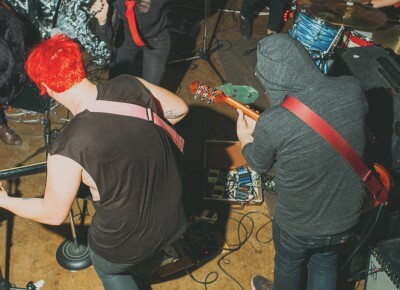 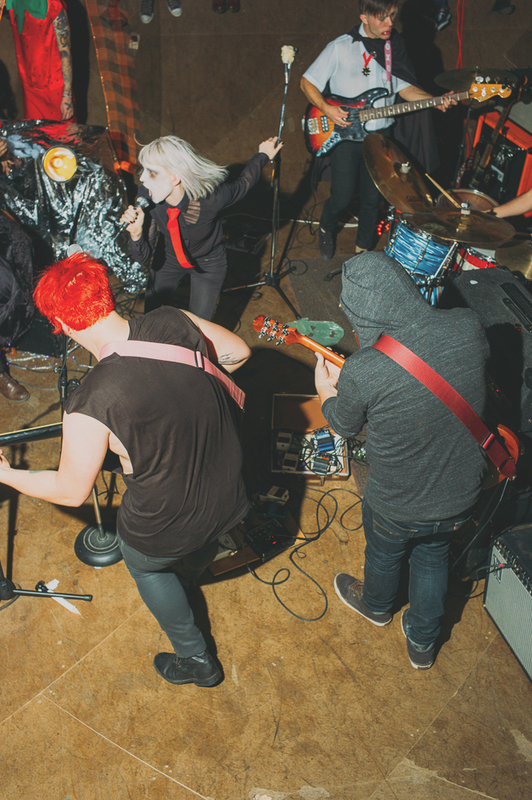 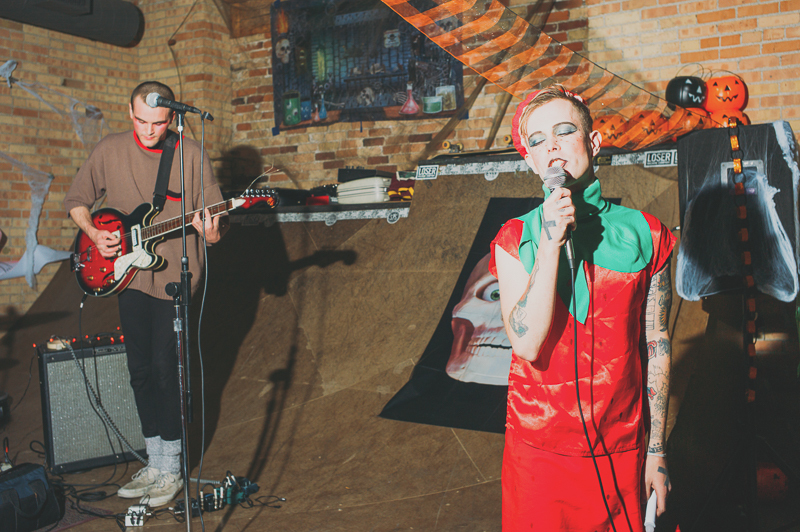 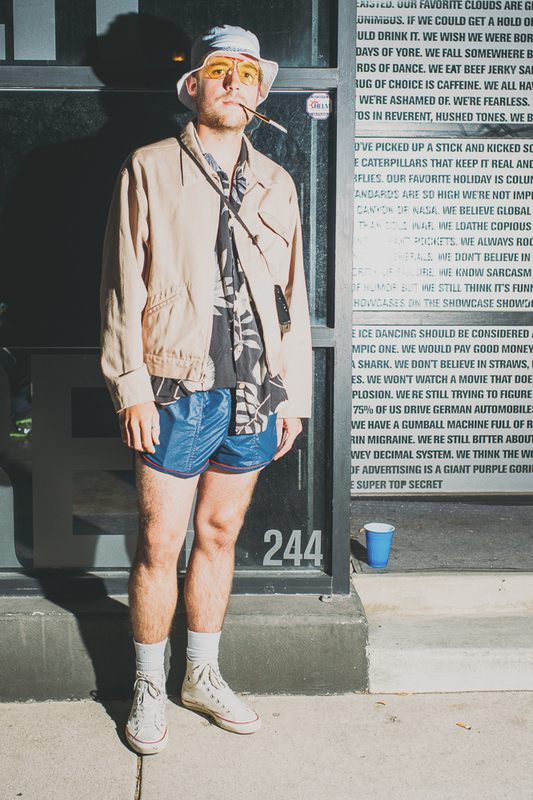 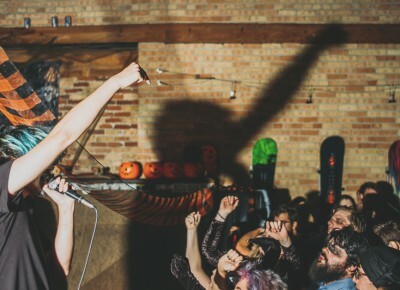 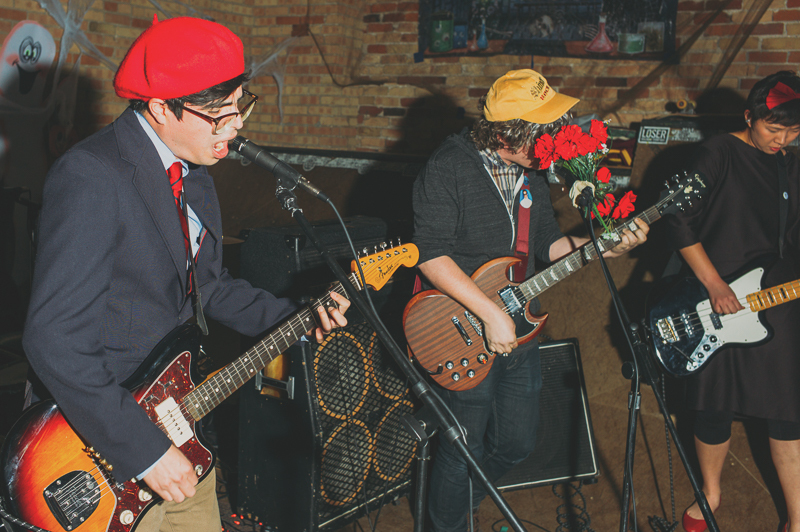 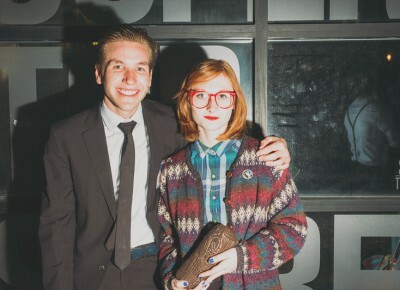 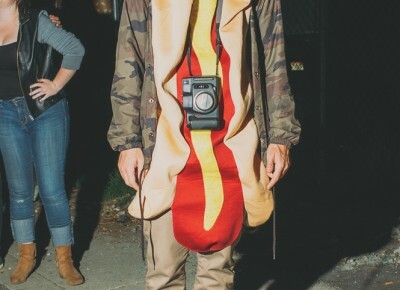 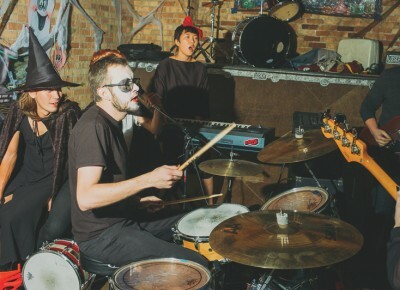 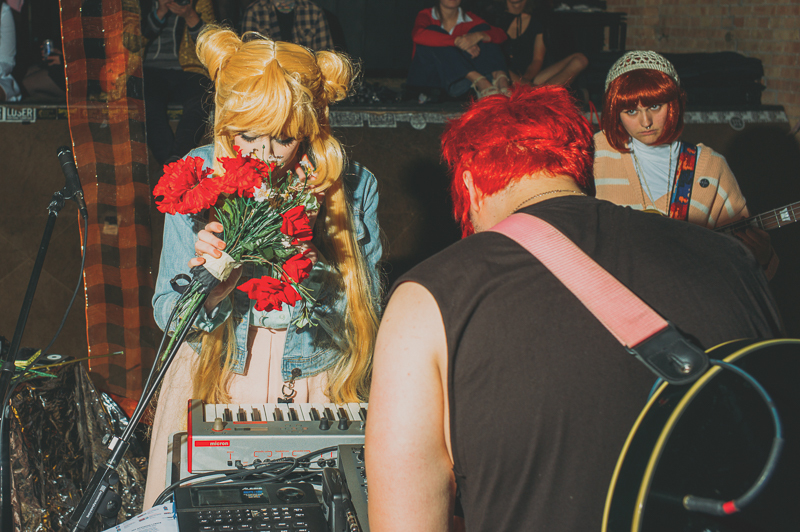 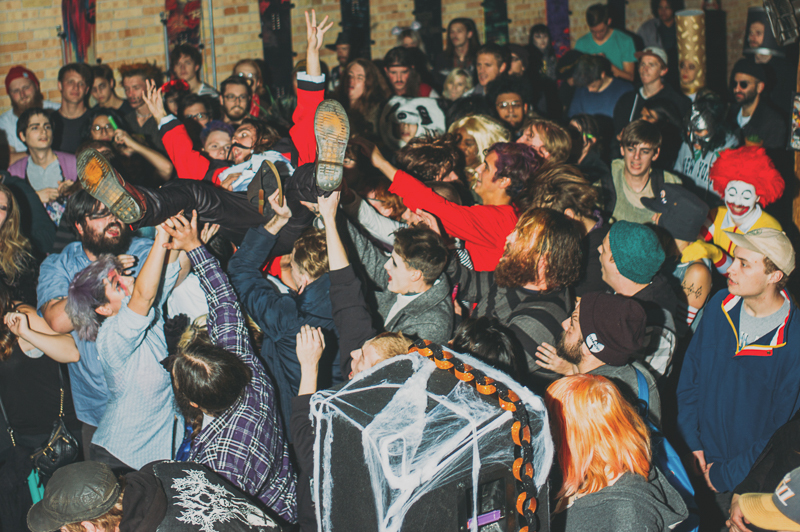 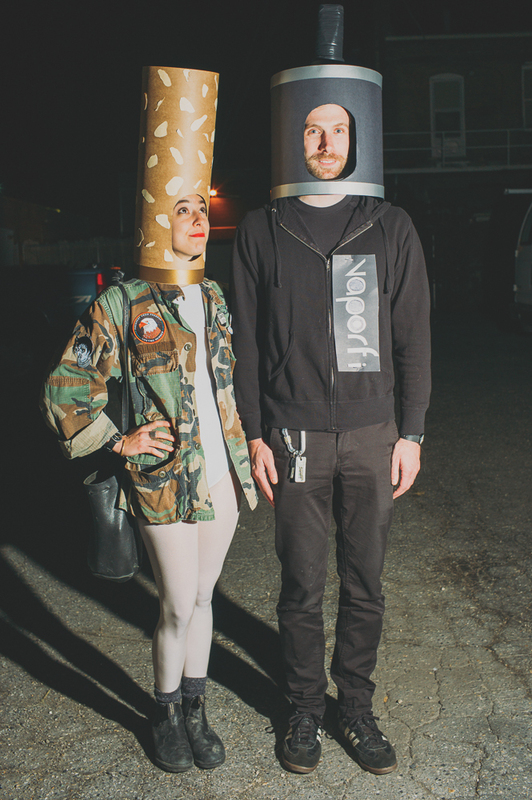 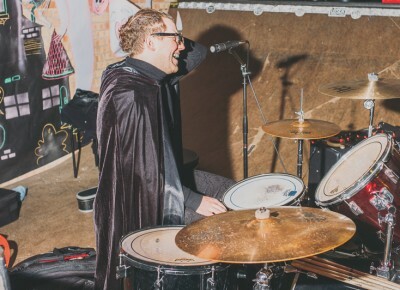 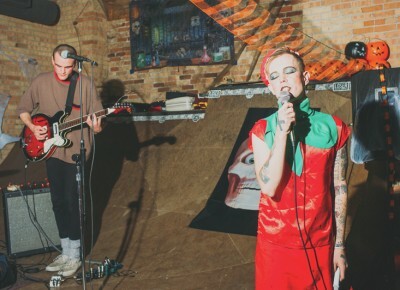 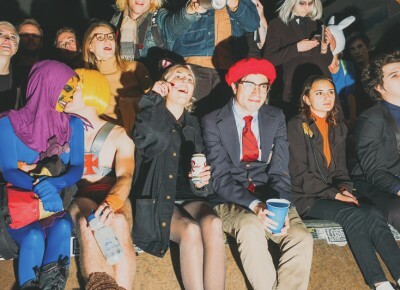 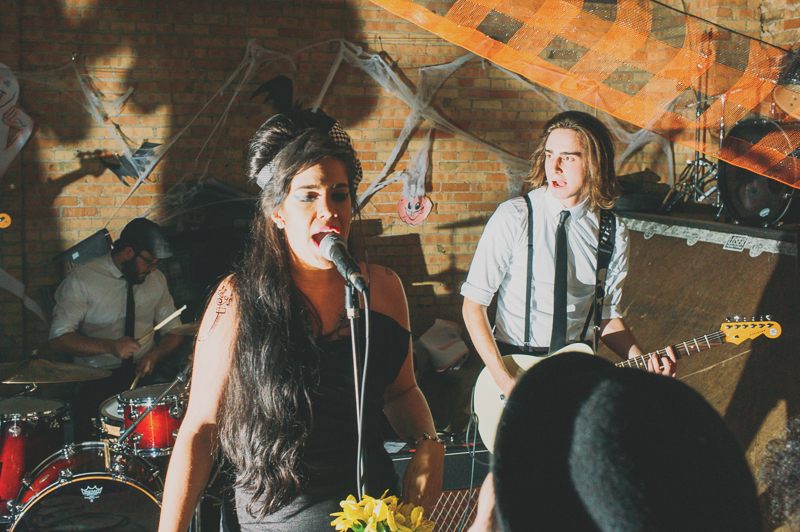 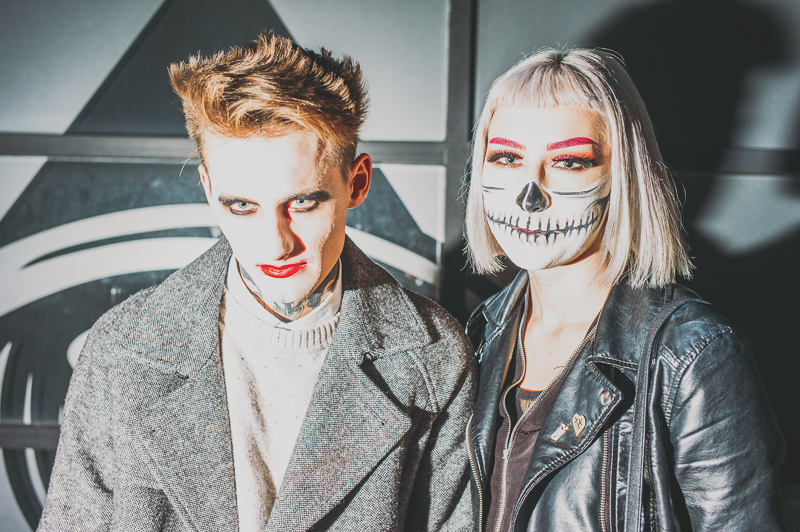 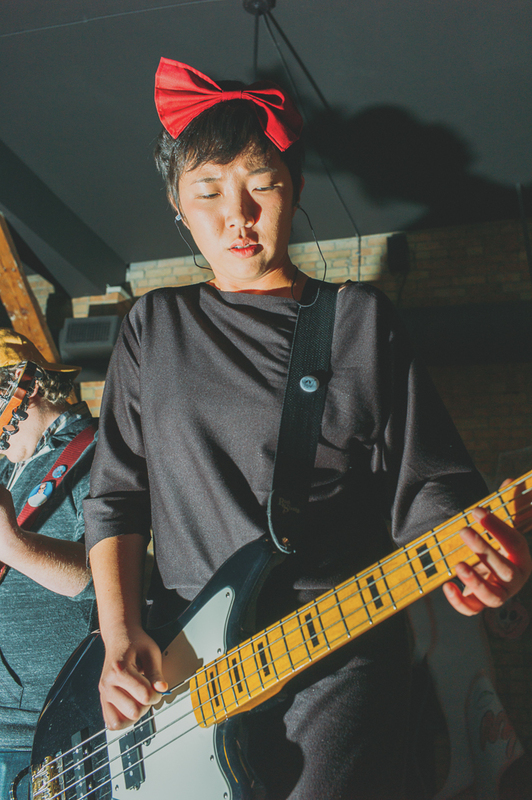 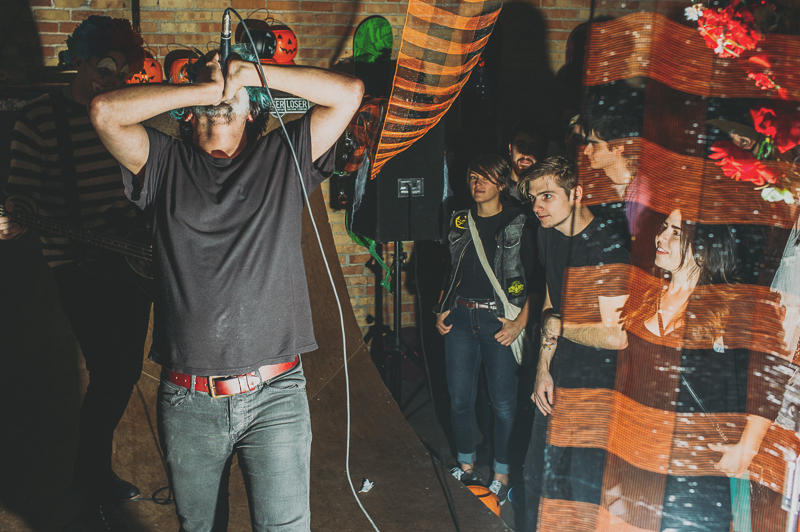 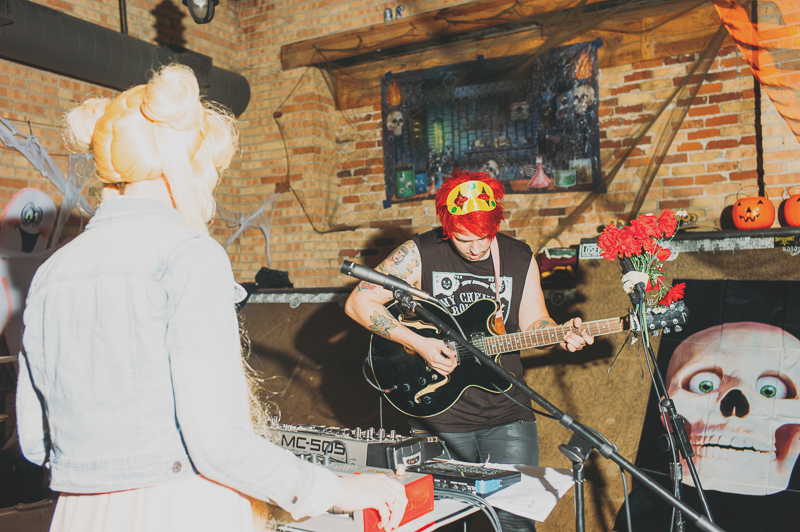 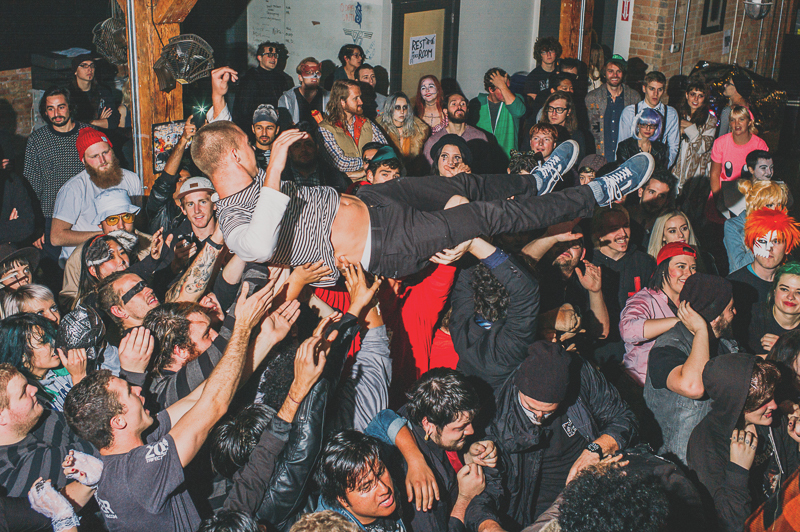 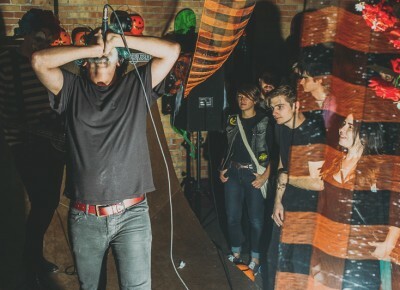 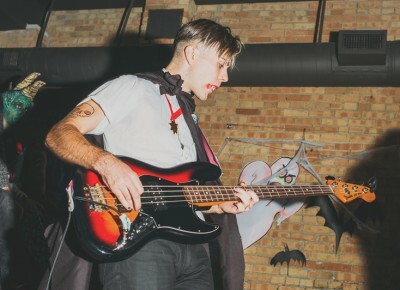 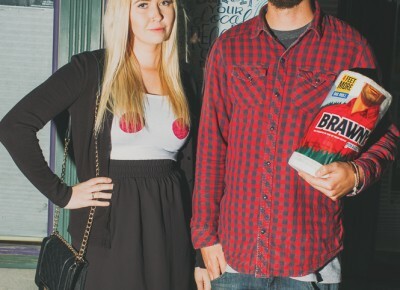 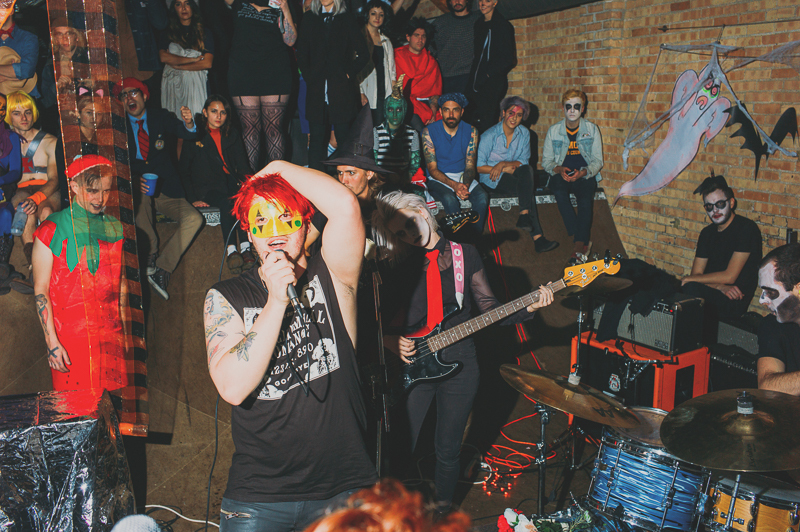 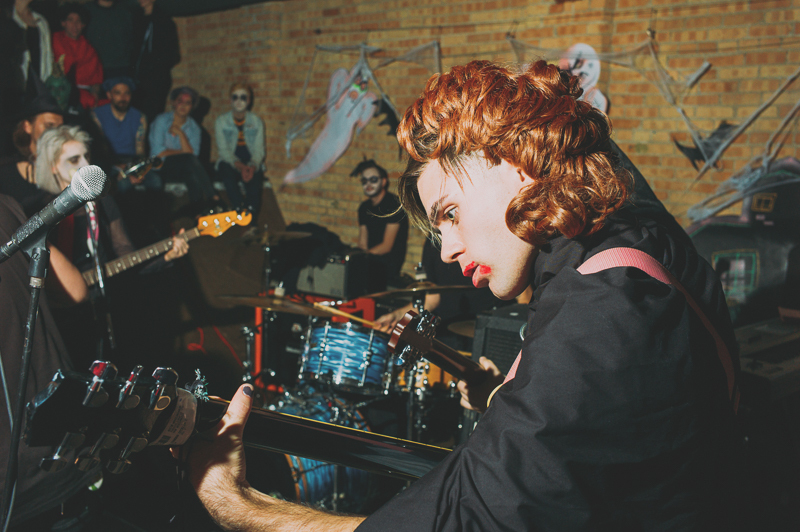 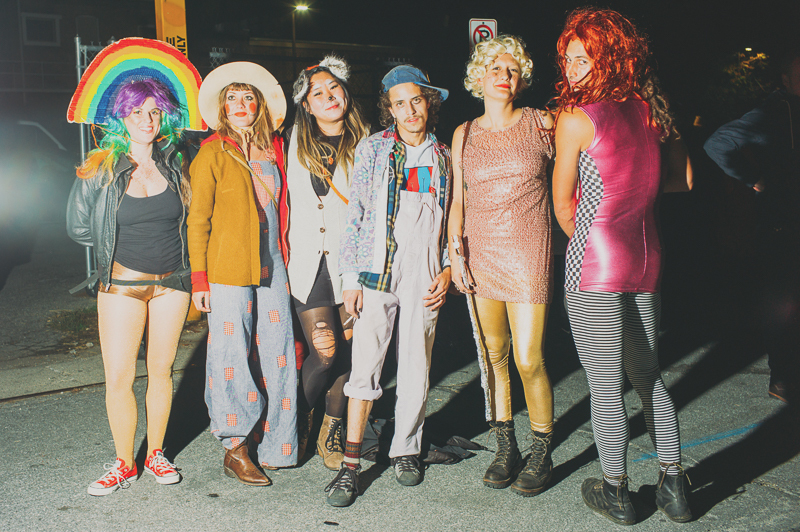 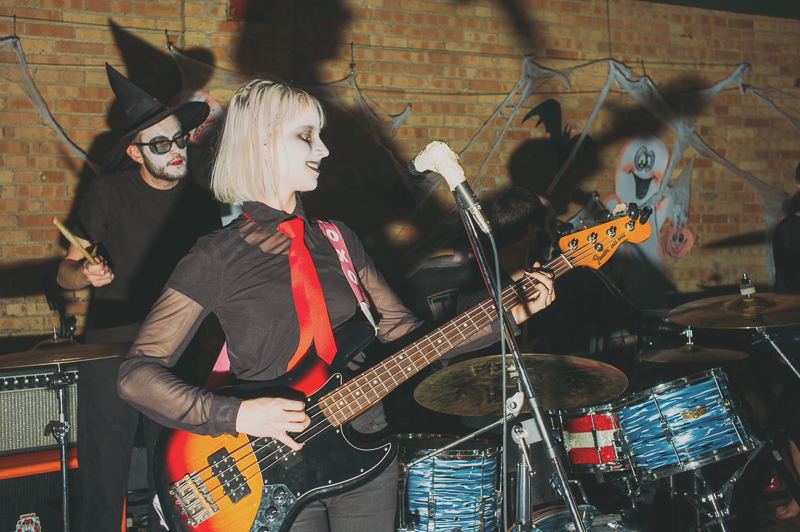 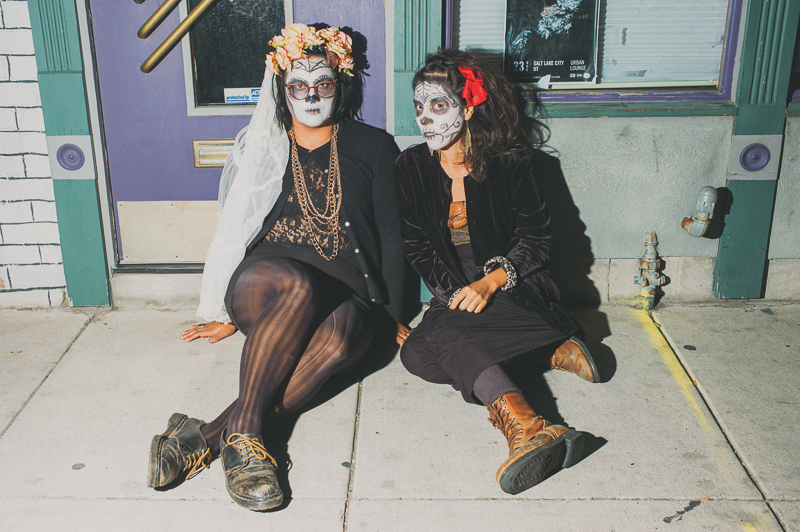 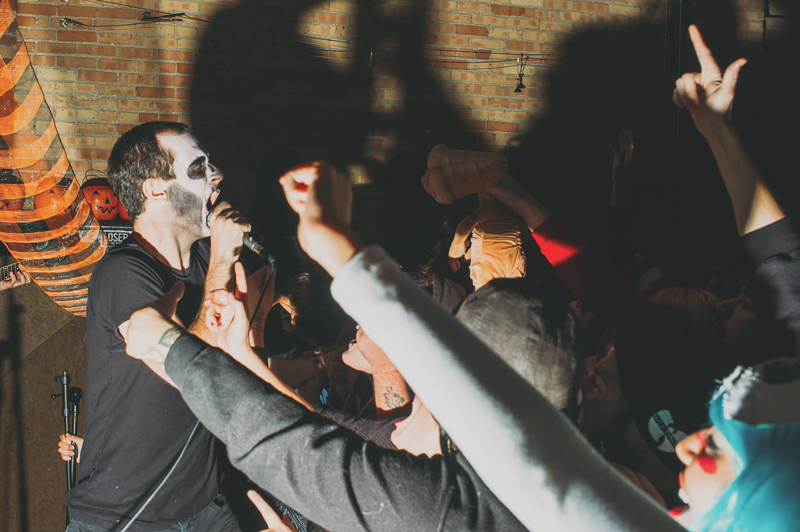 Punk Rock Halloween was a huge success, with countless interesting things to see and hear.